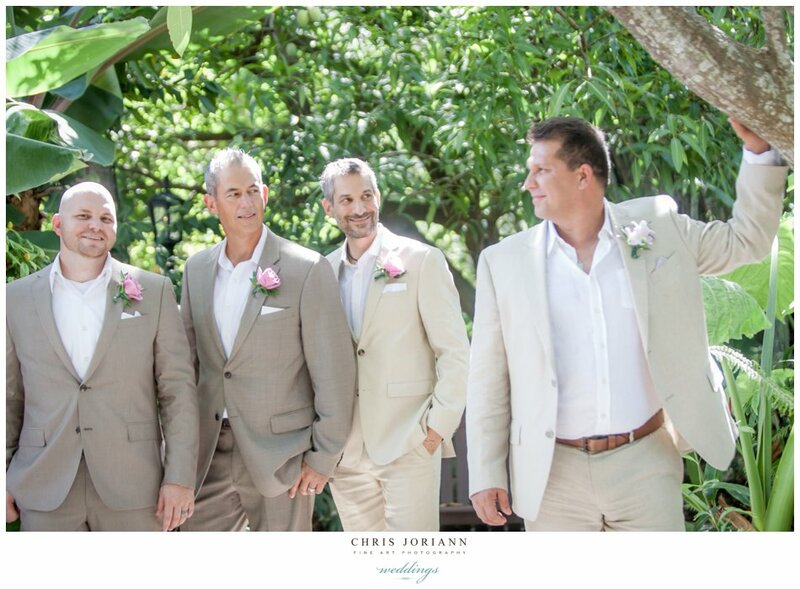 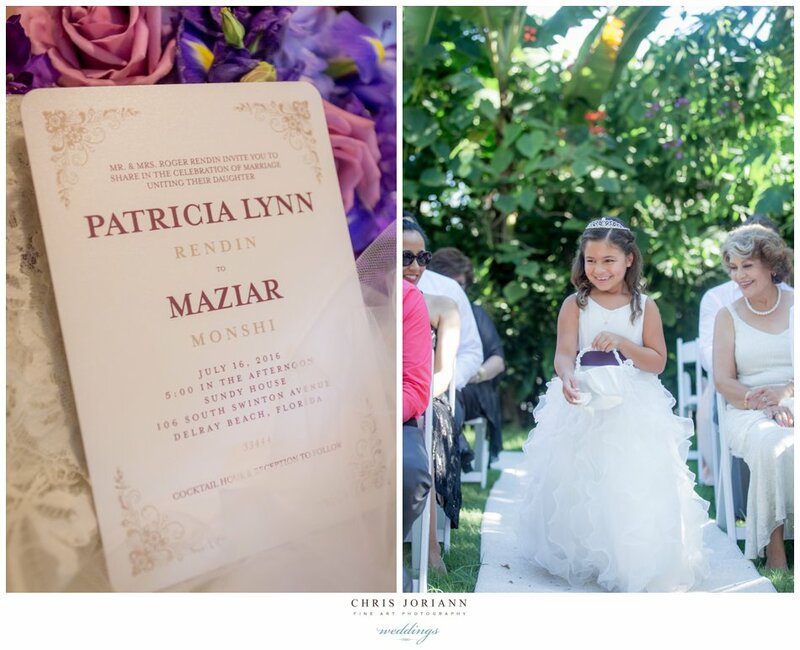 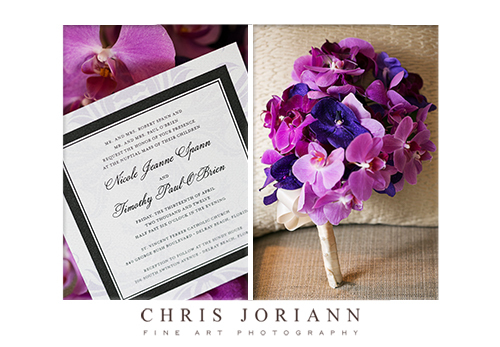 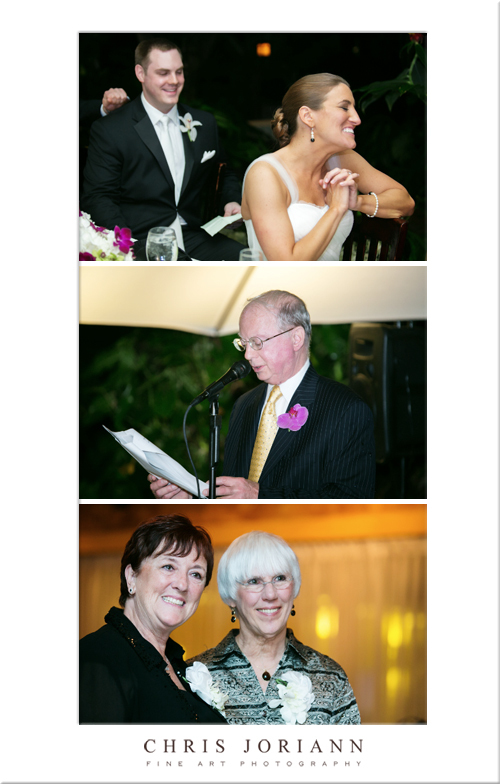 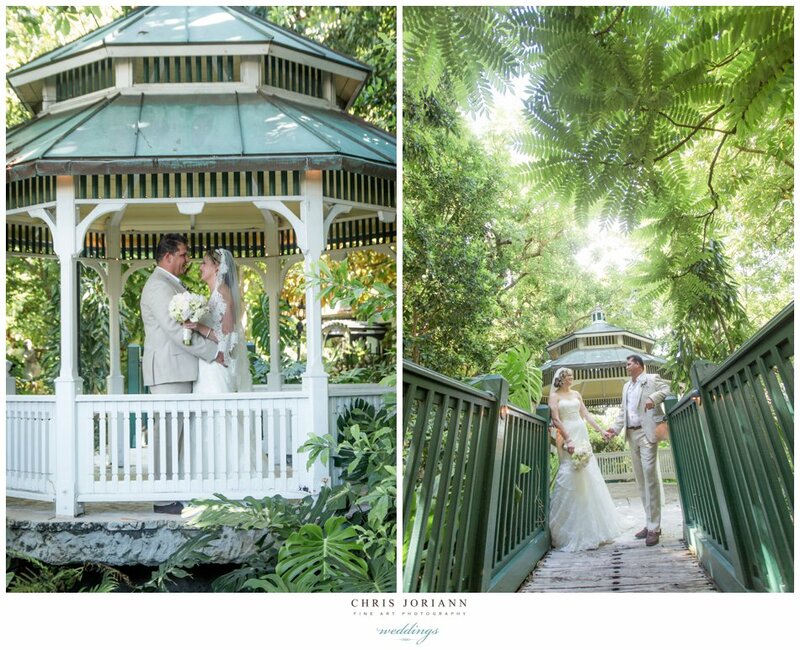 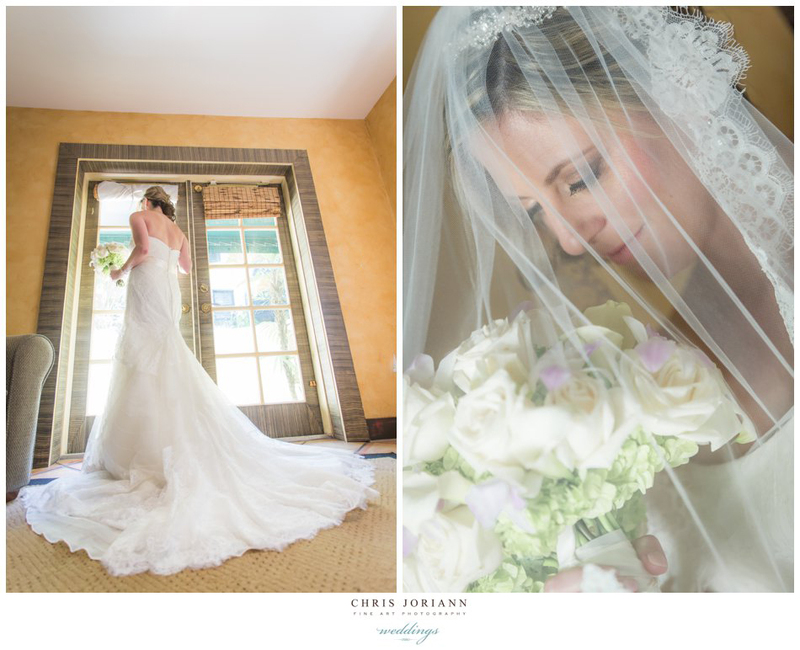 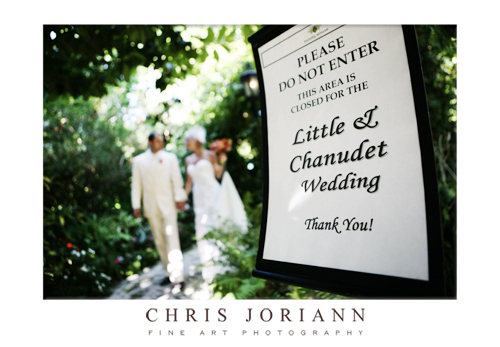 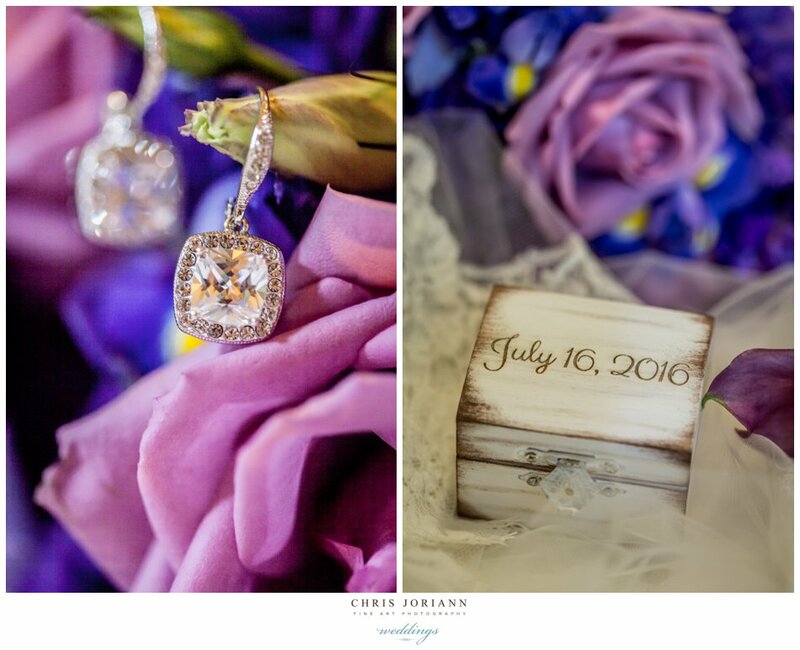 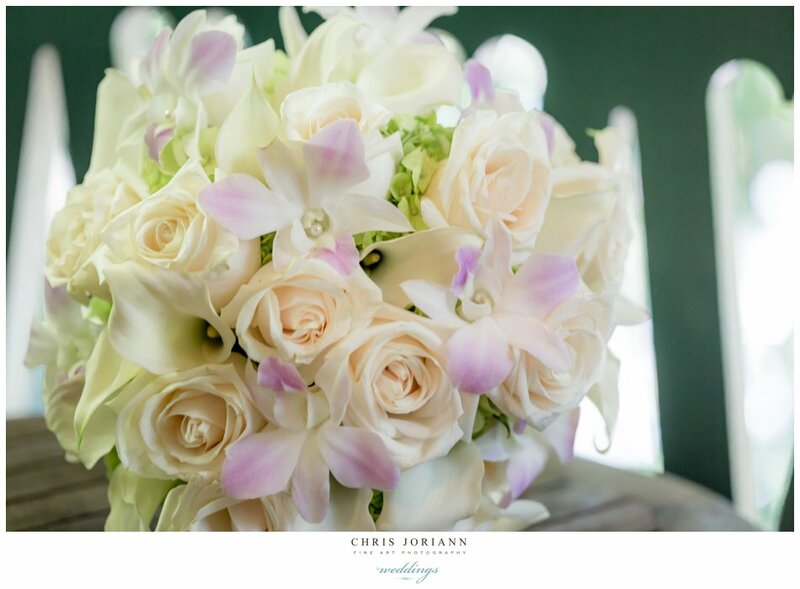 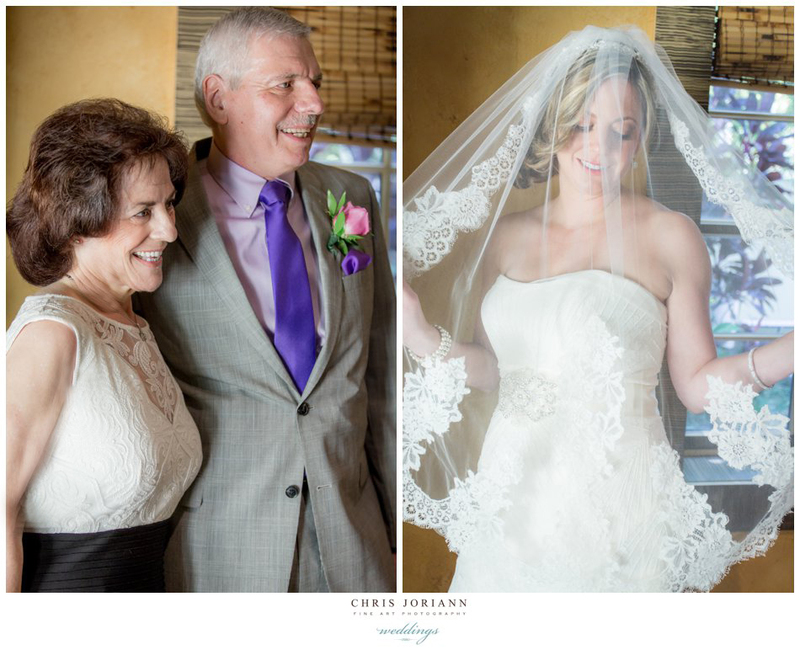 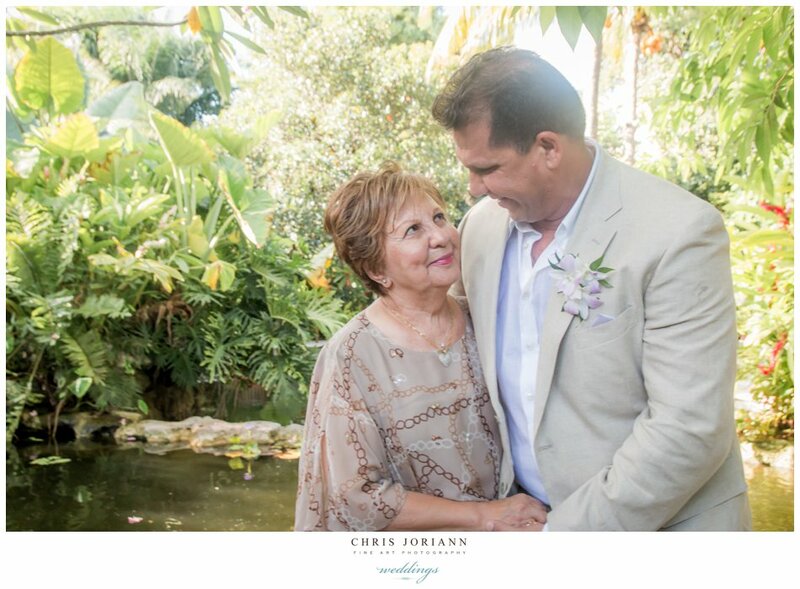 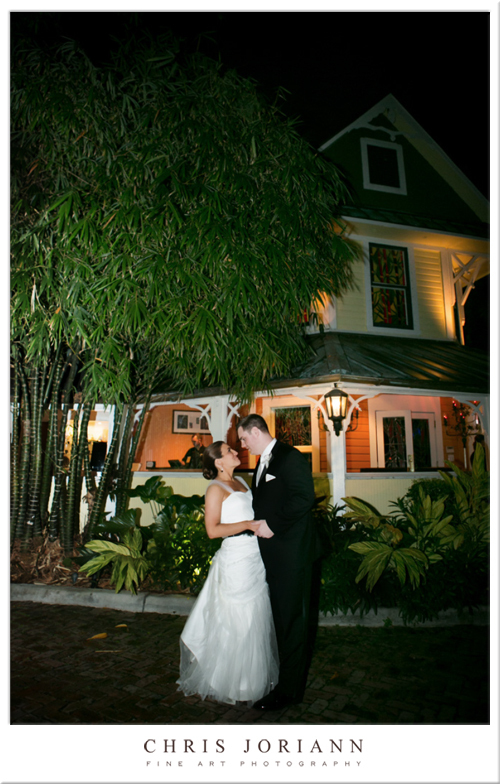 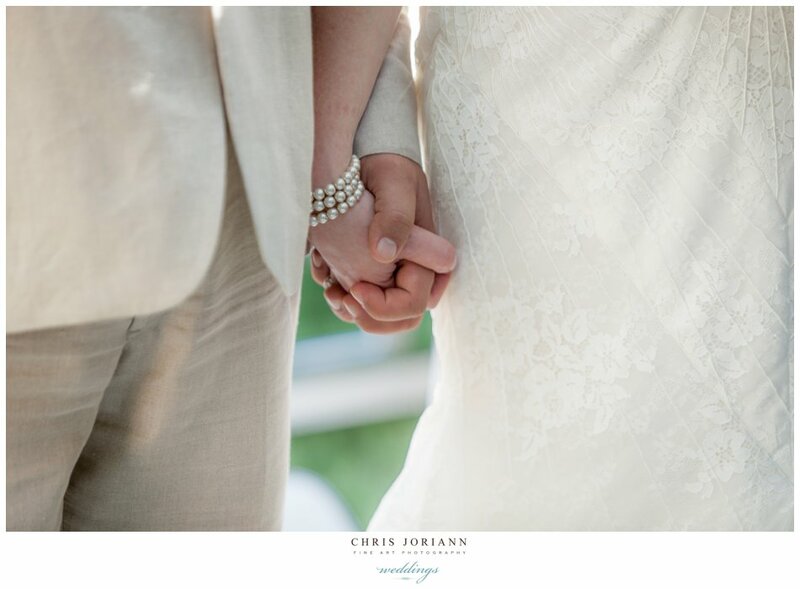 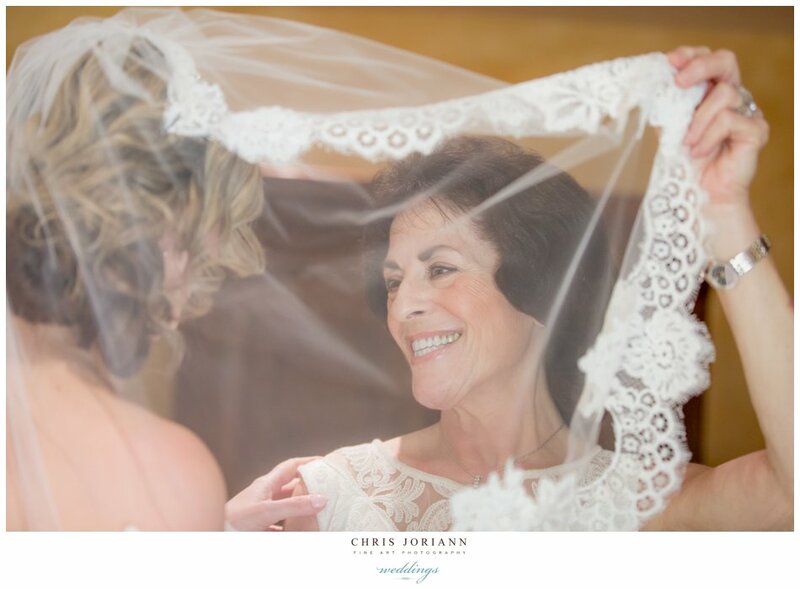 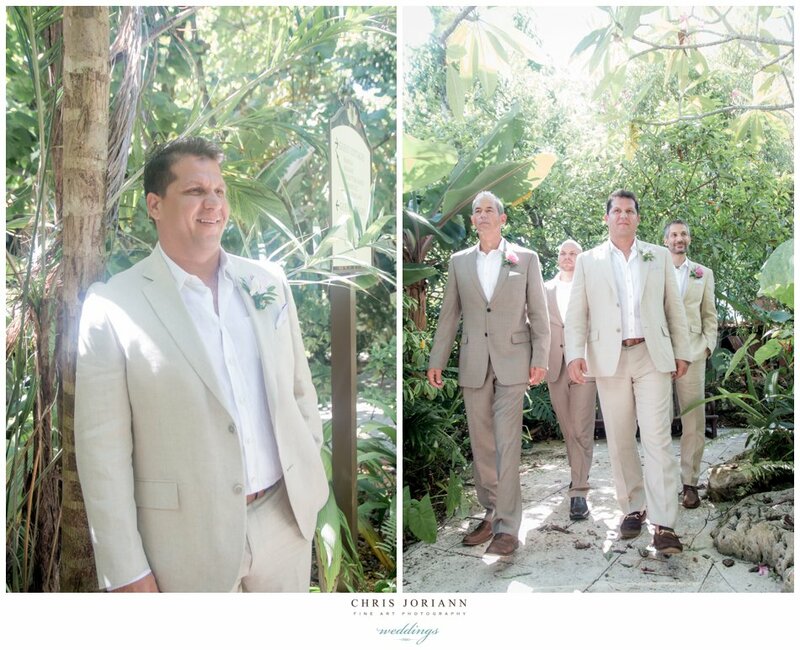 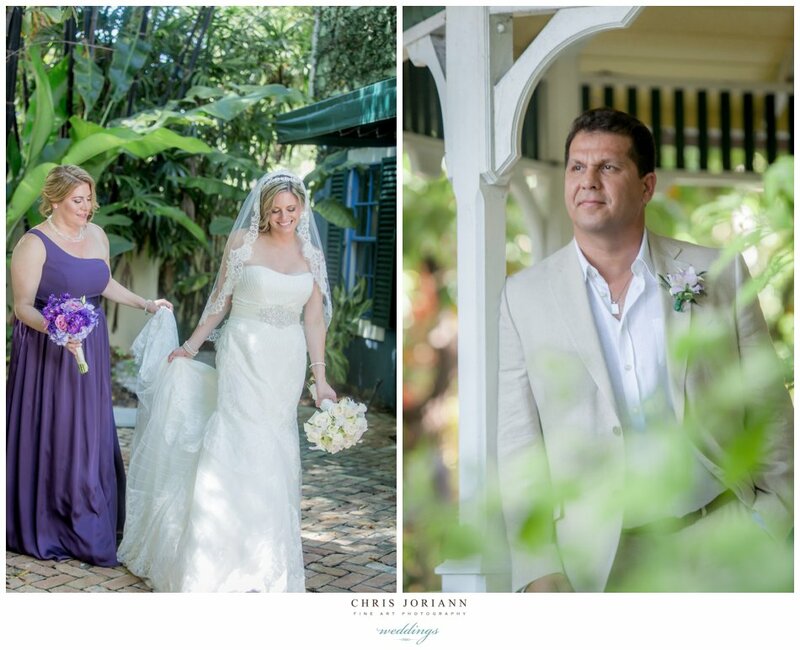 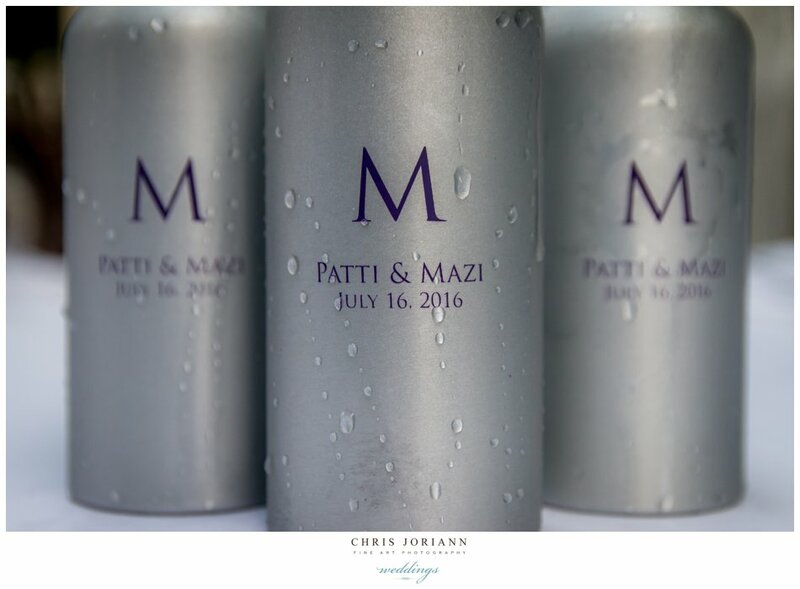 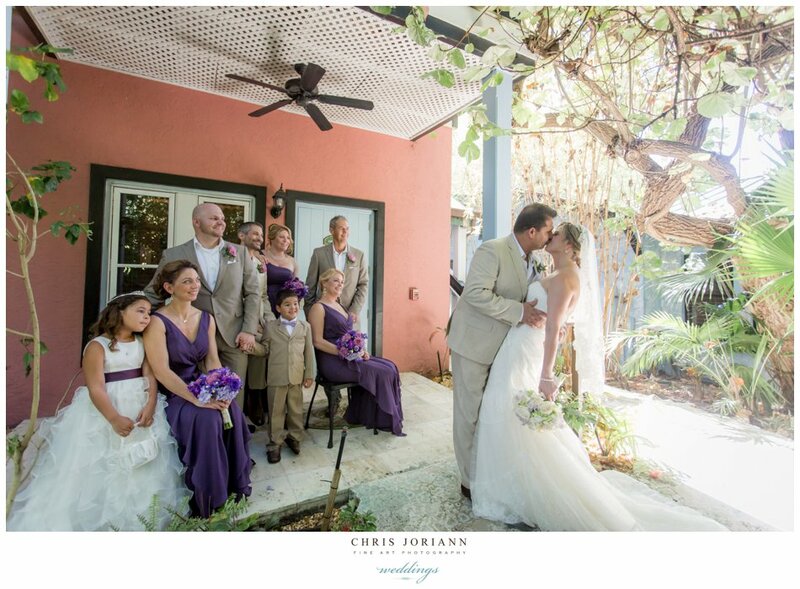 Patti + Mazi’s mid-summer wedding took place at The Sundy House in Delray Beach. 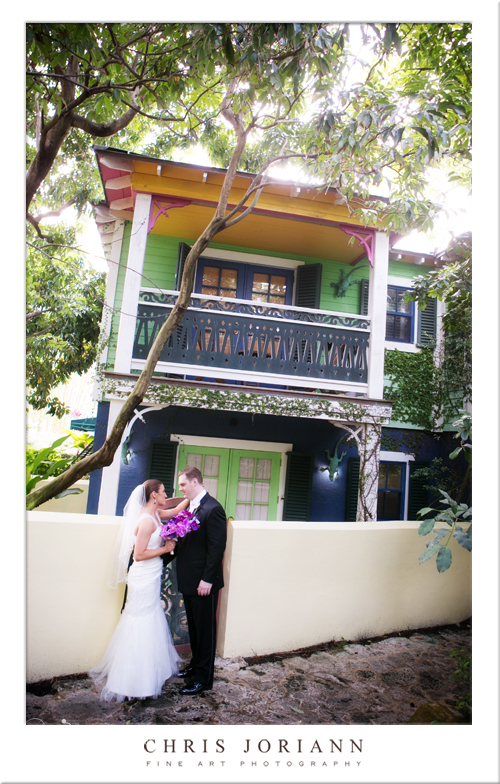 This tropical oasis is chock full of eclectic charm with its one of a kind cottages, and koi ponds, and rock pools. 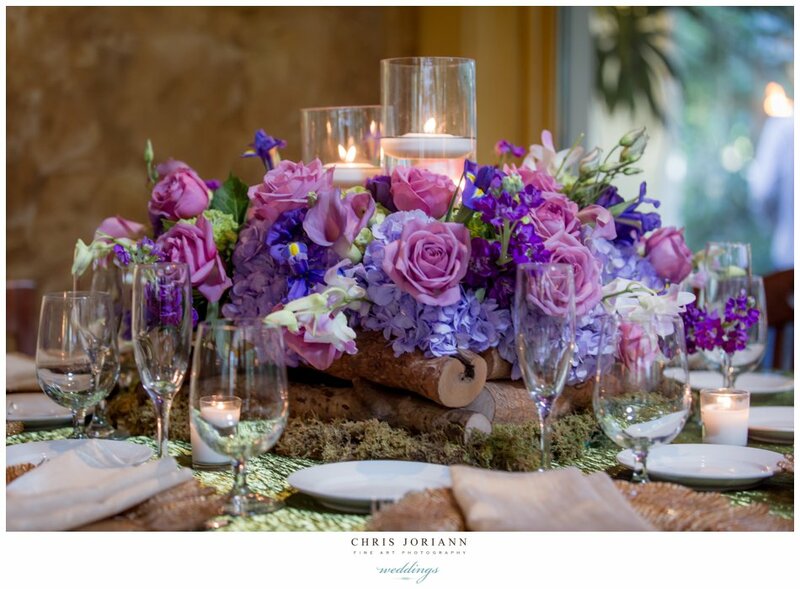 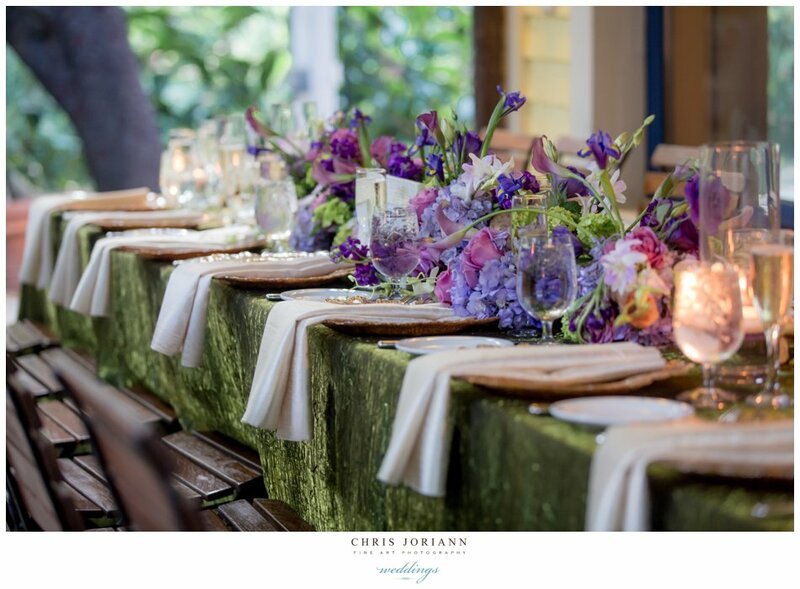 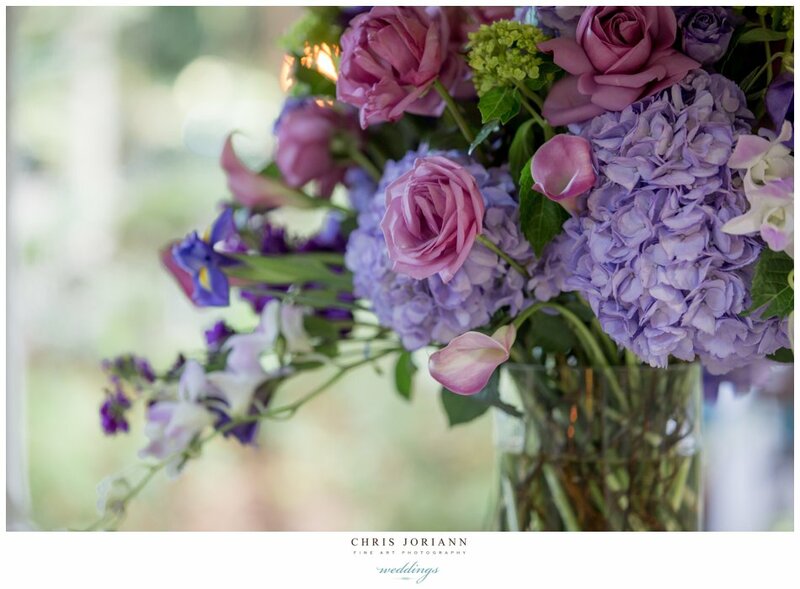 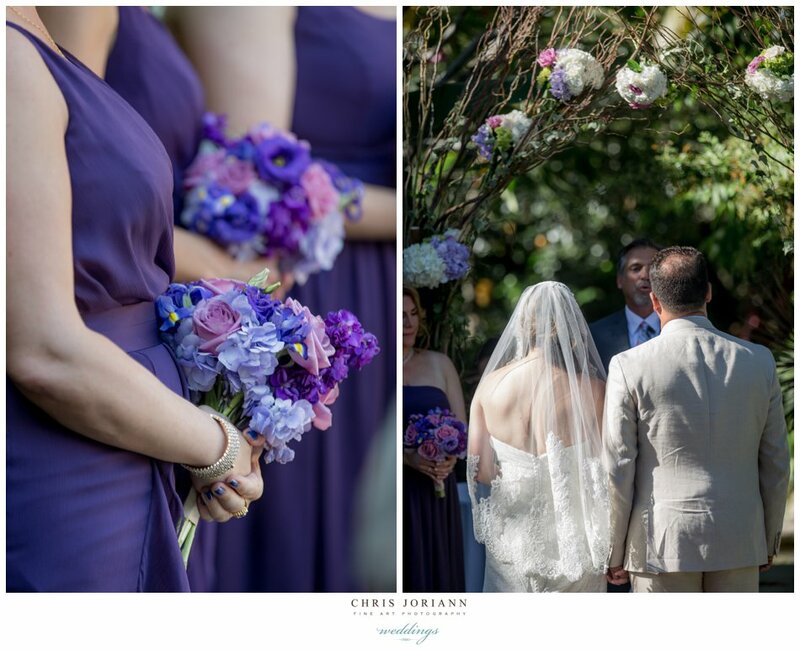 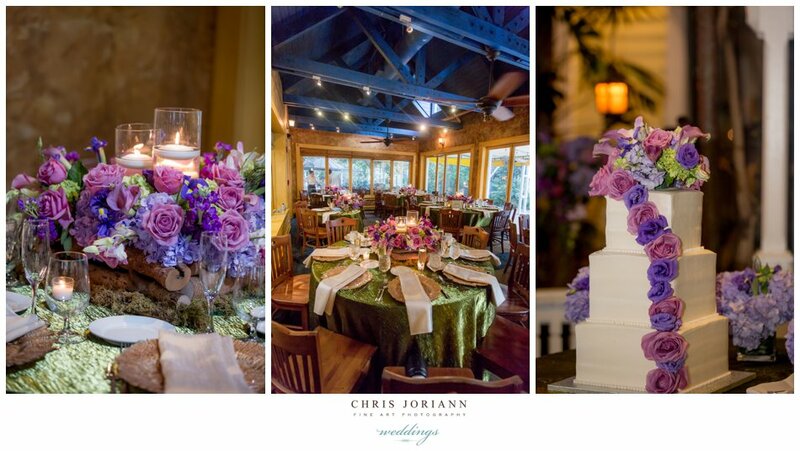 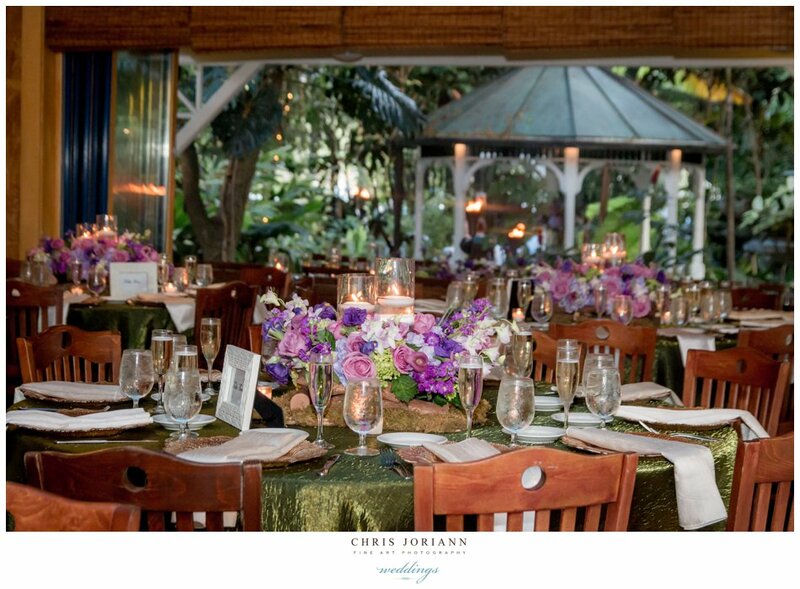 Following the couples garden nuptials, an evening brook-side reception, coordinated by Breeze Taylor Events, featured a fabulous combination of olive and plum hues, mixed with a woodsy elegance created by Dalsimer Atlas Floral + Events. 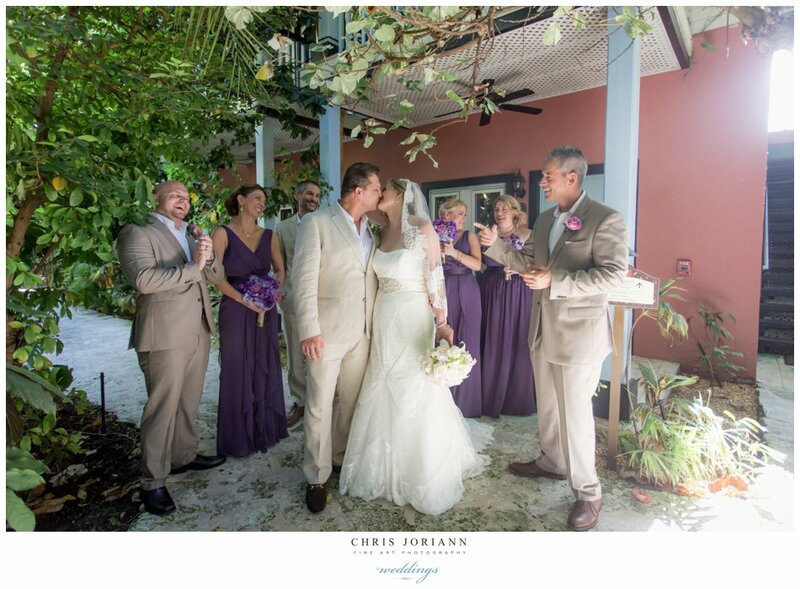 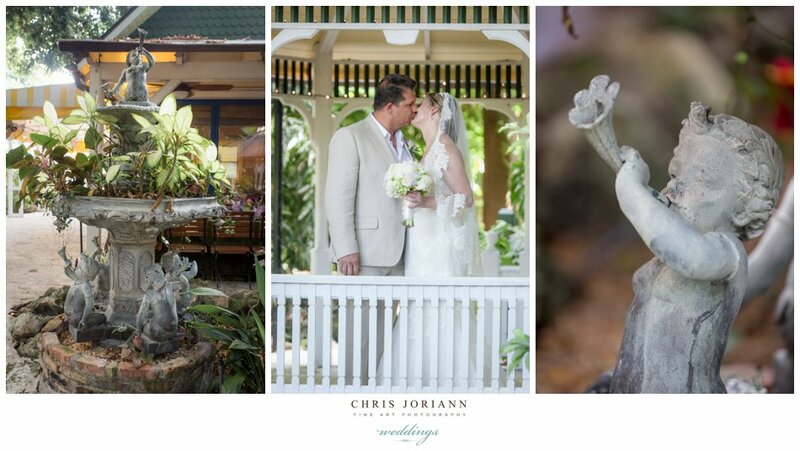 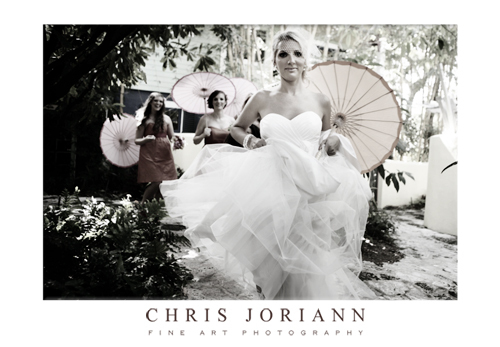 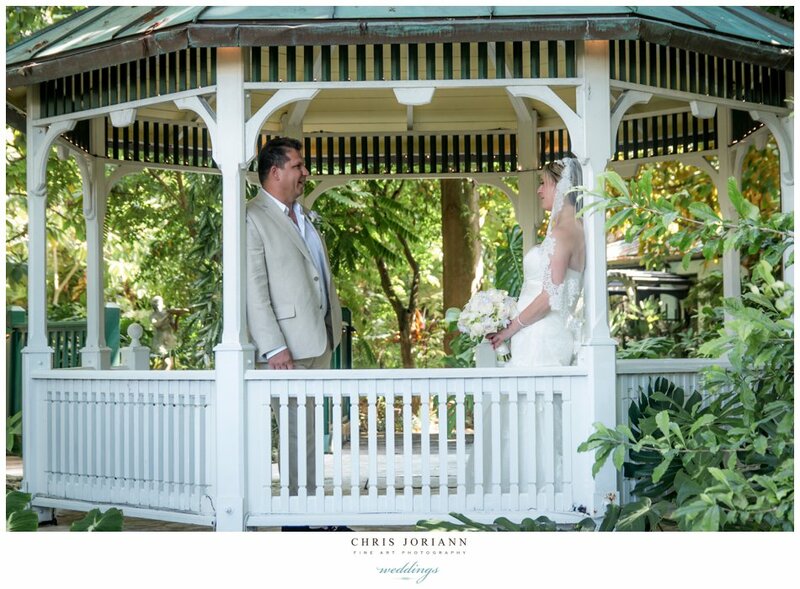 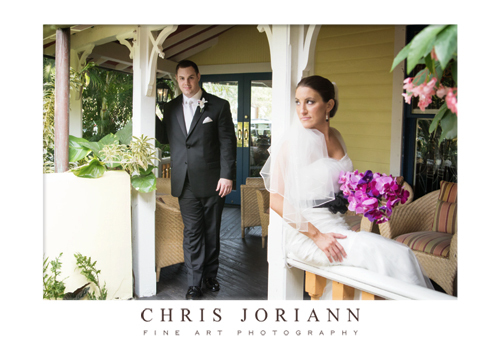 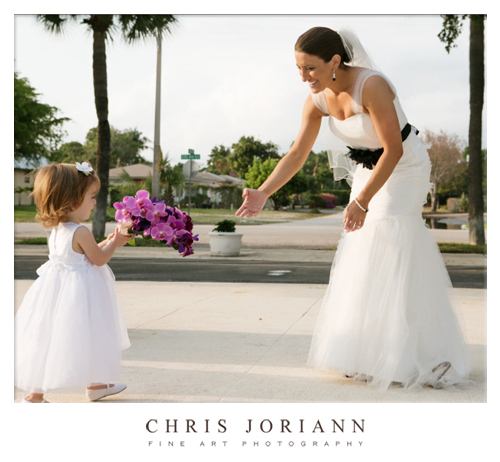 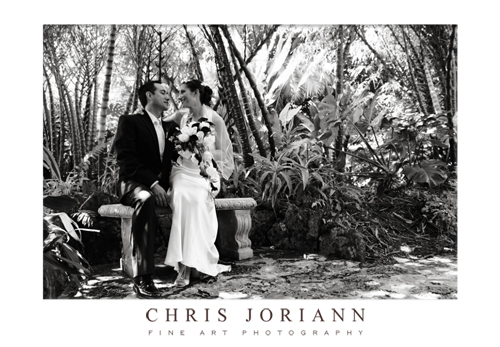 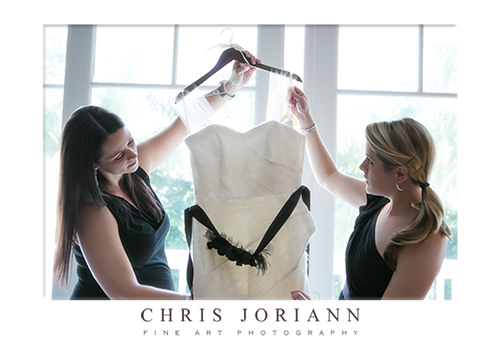 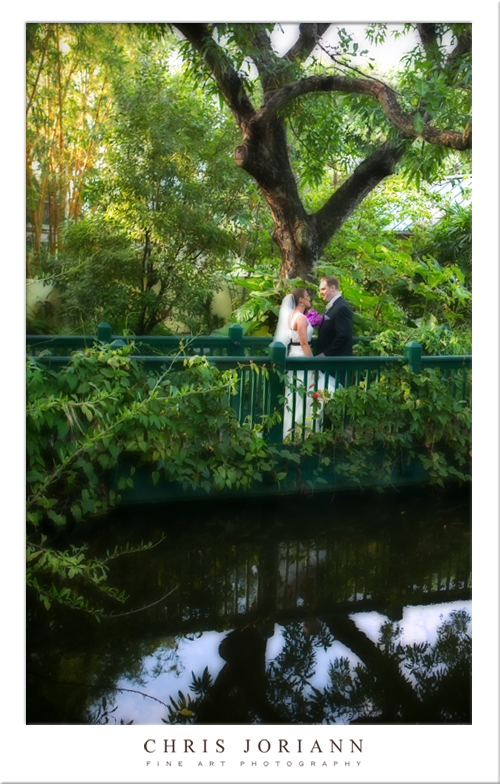 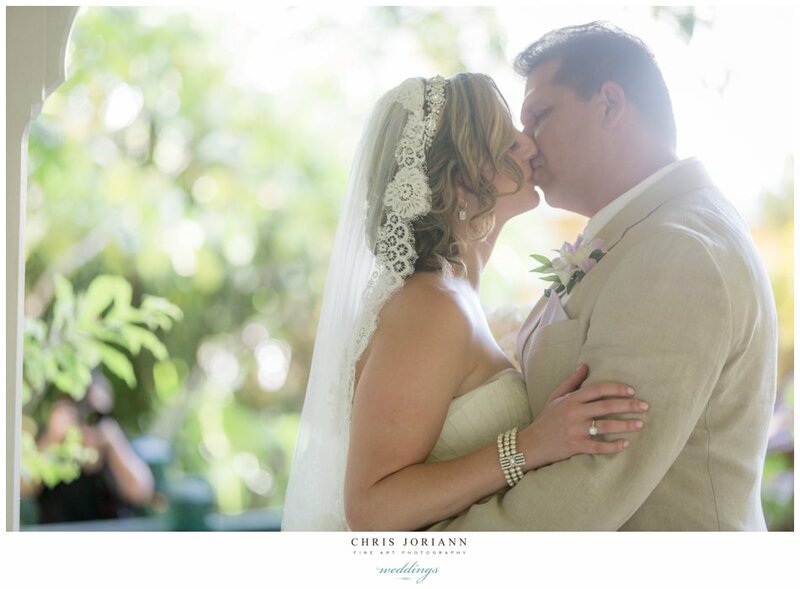 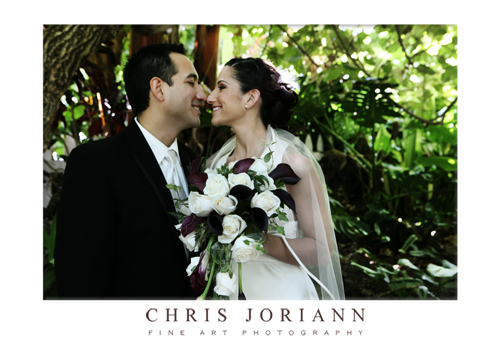 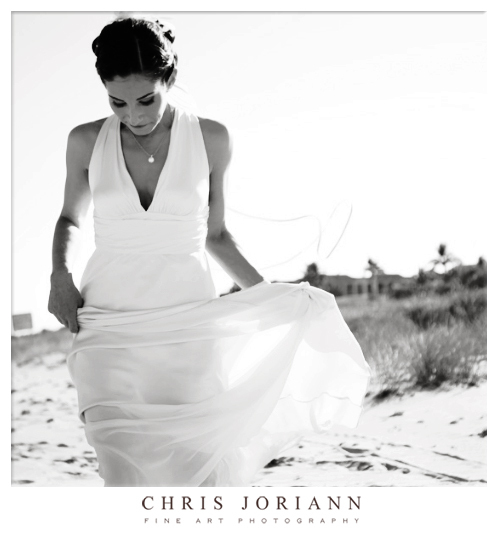 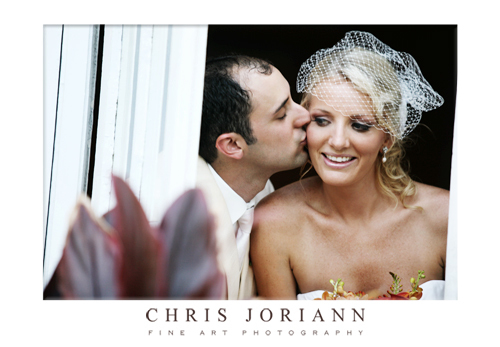 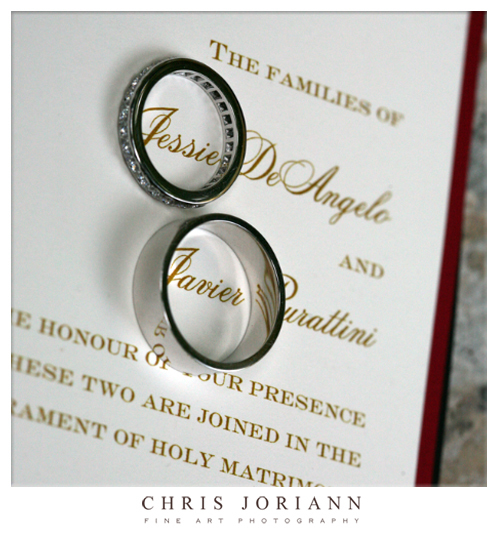 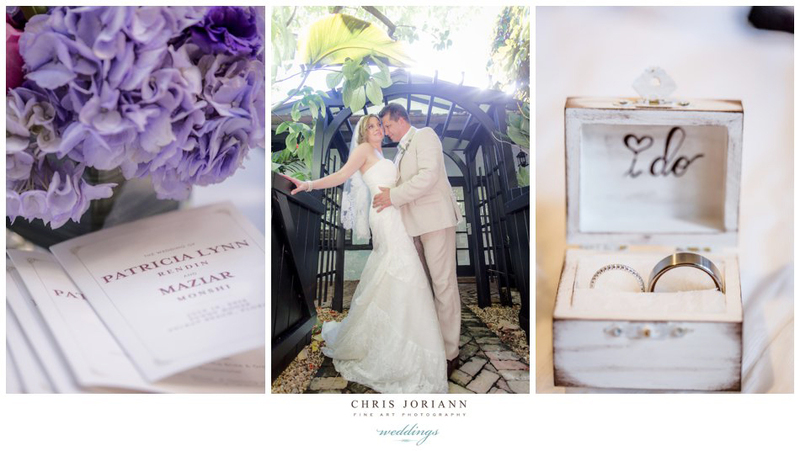 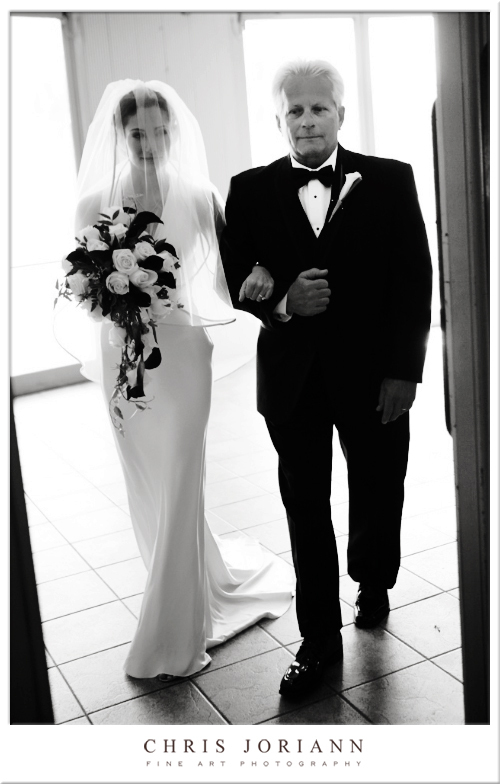 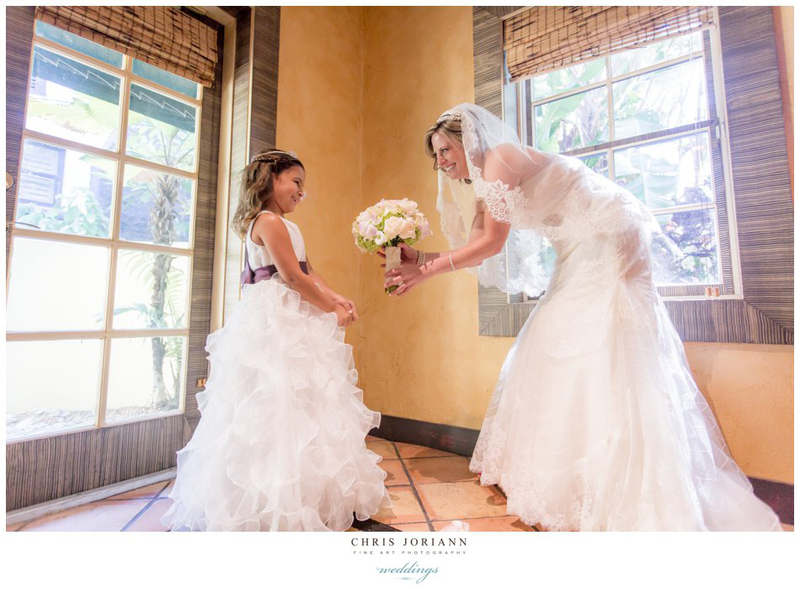 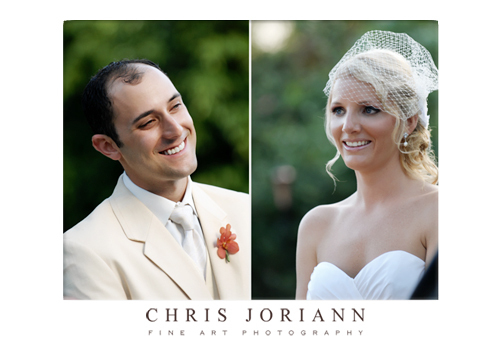 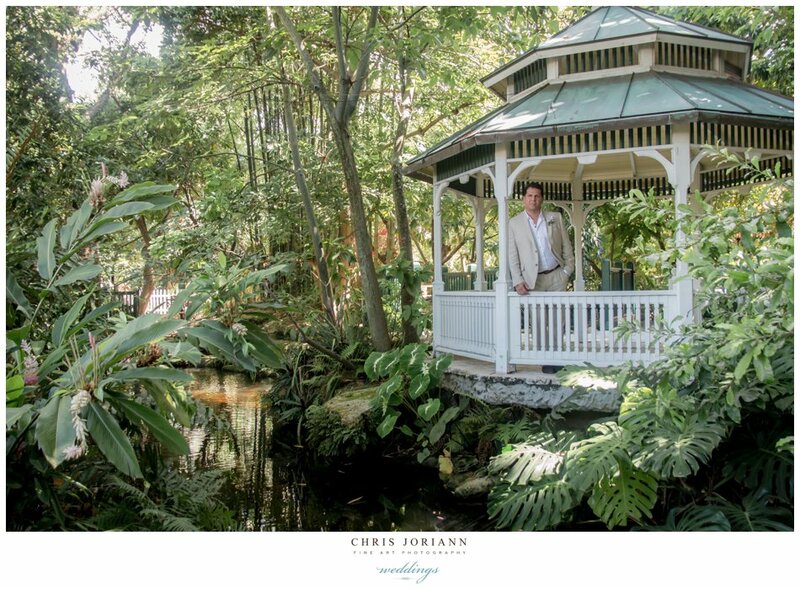 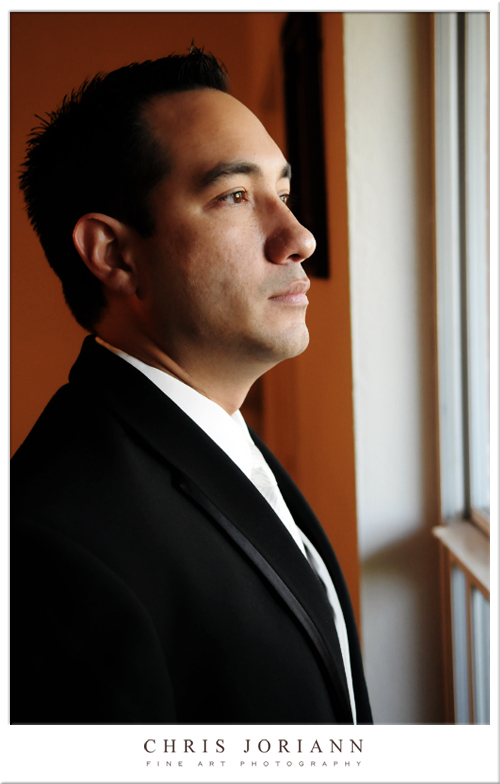 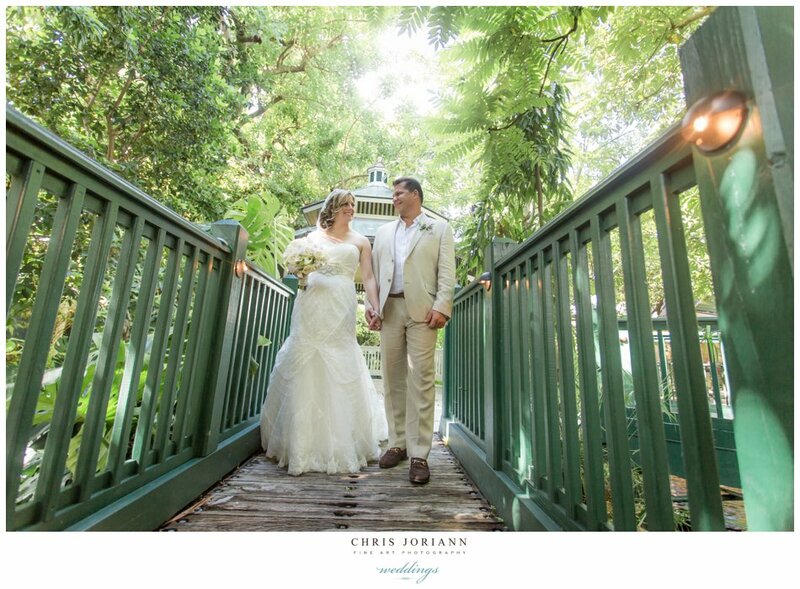 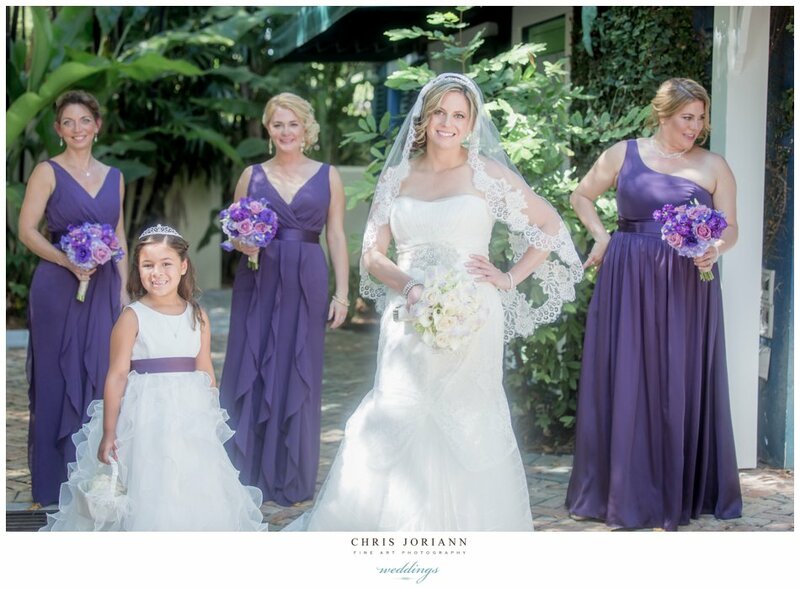 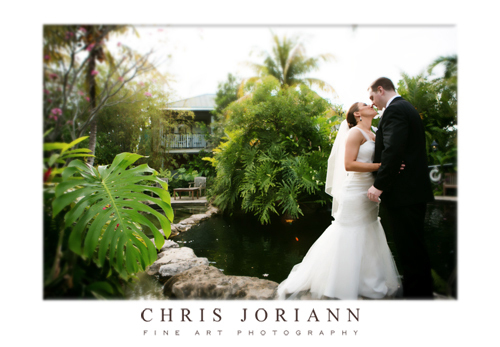 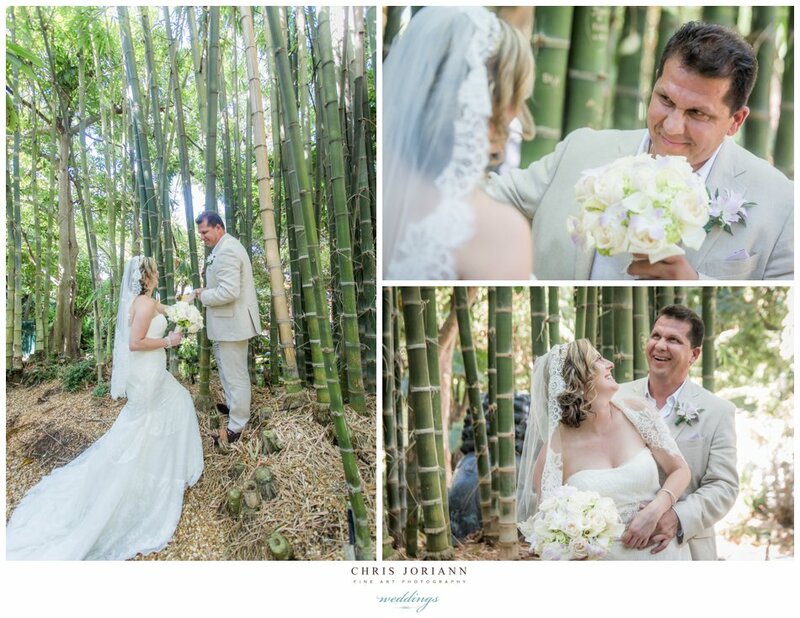 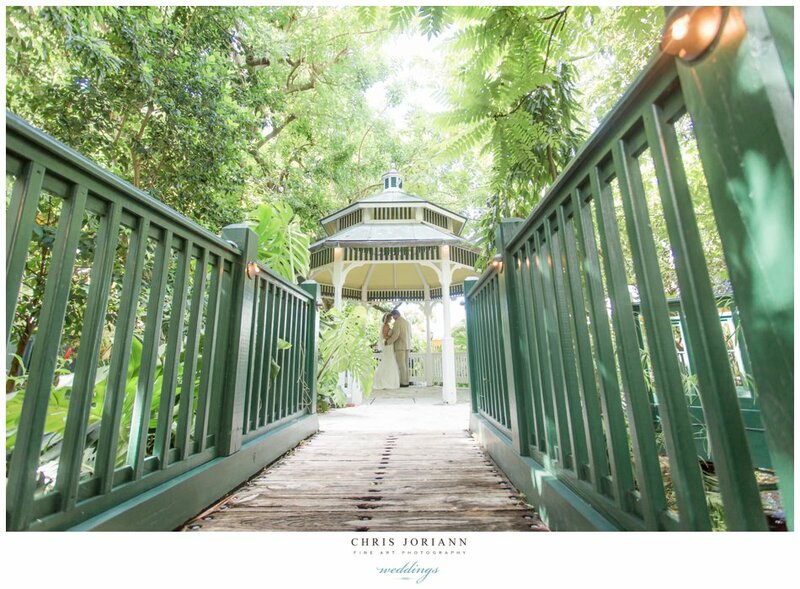 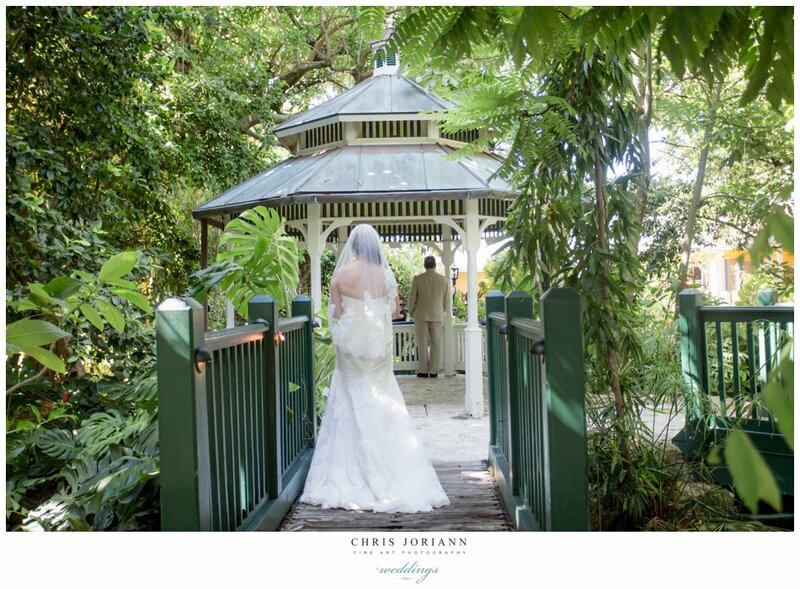 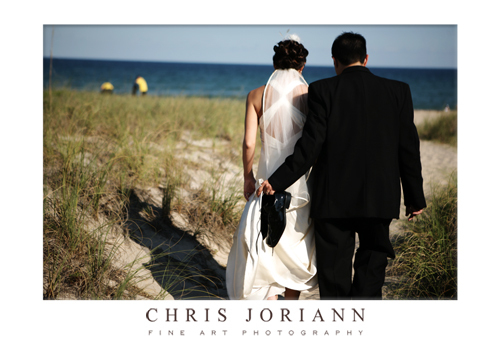 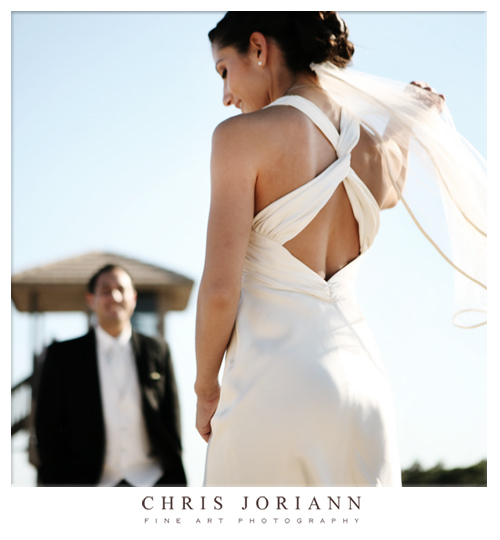 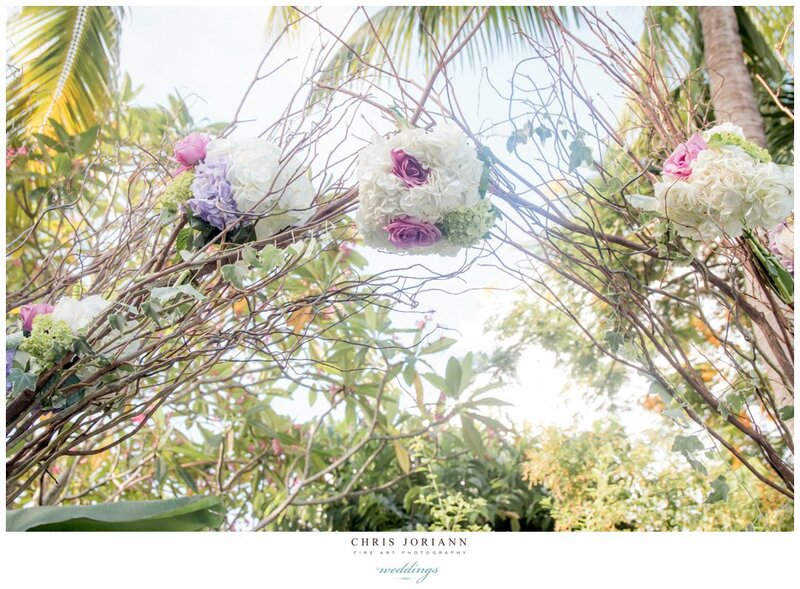 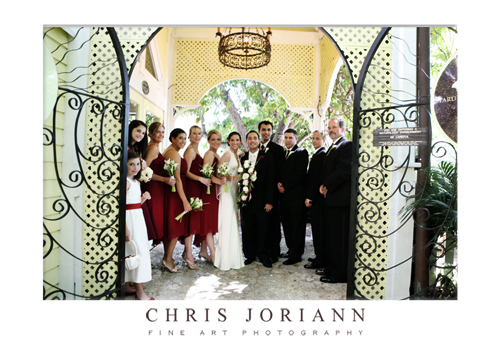 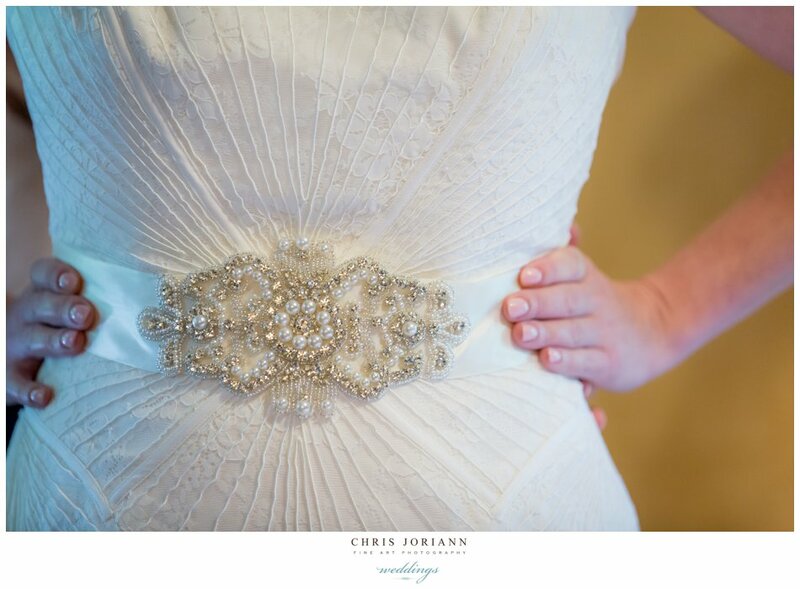 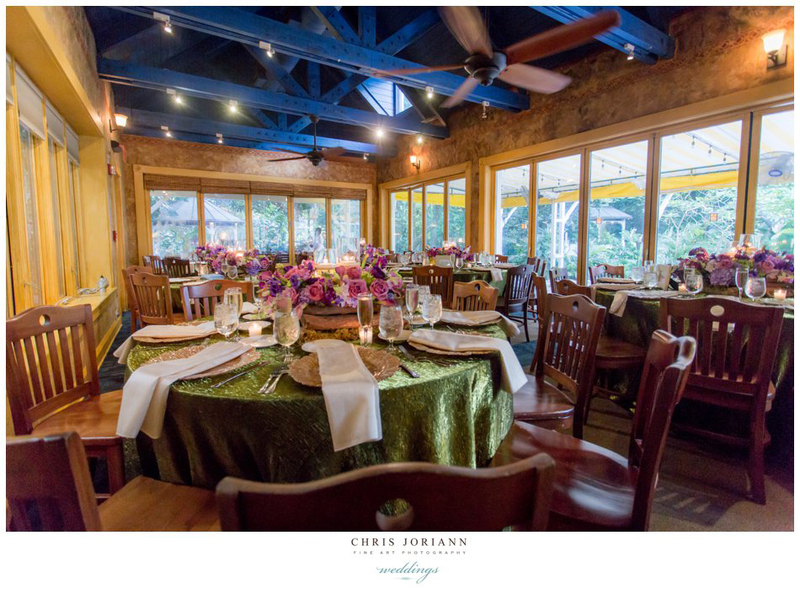 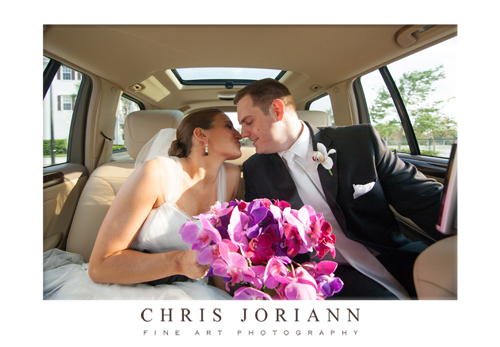 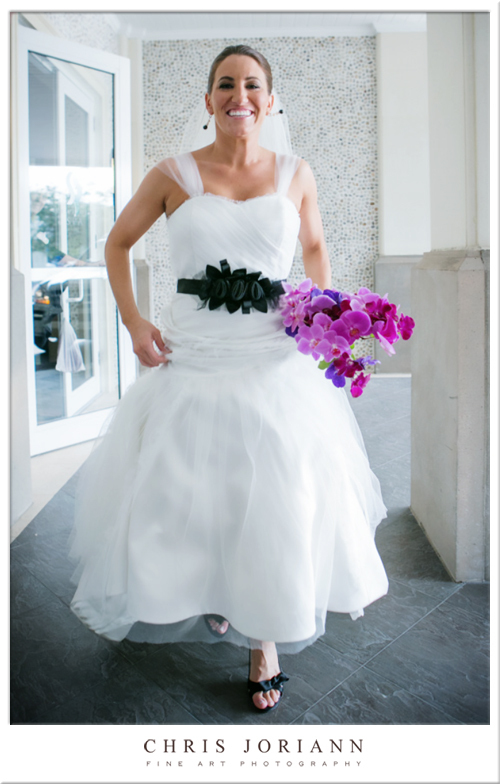 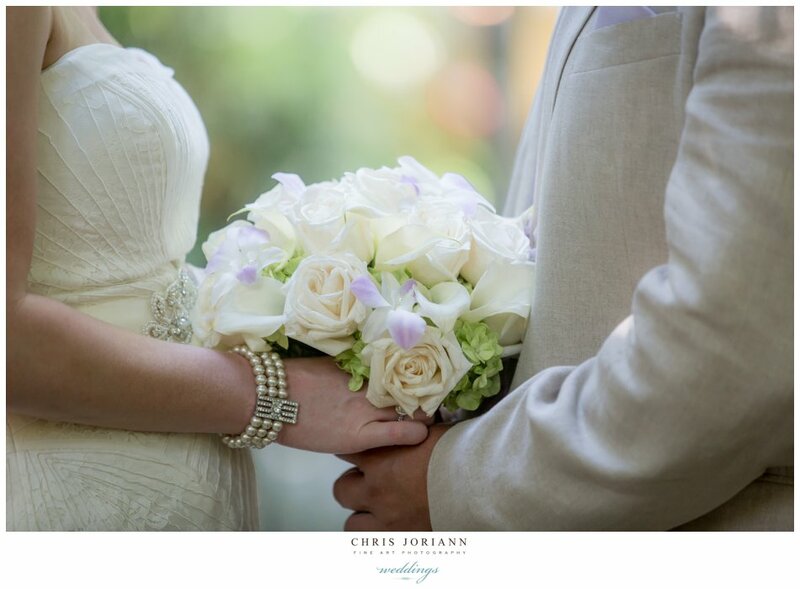 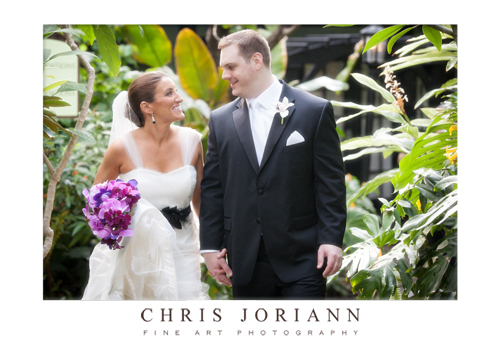 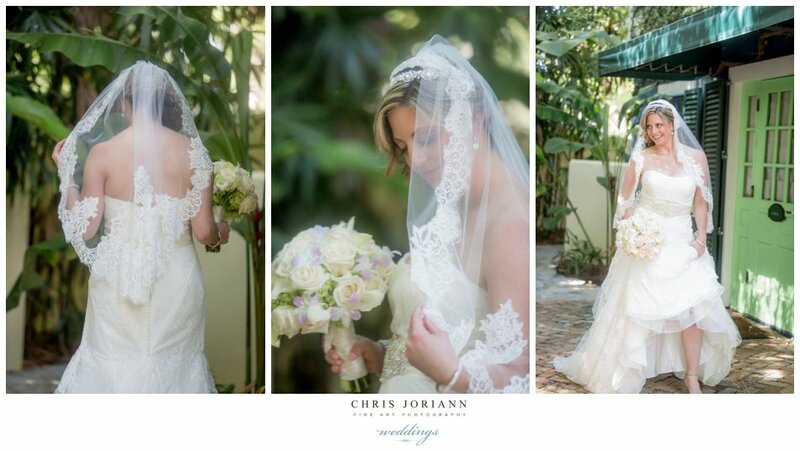 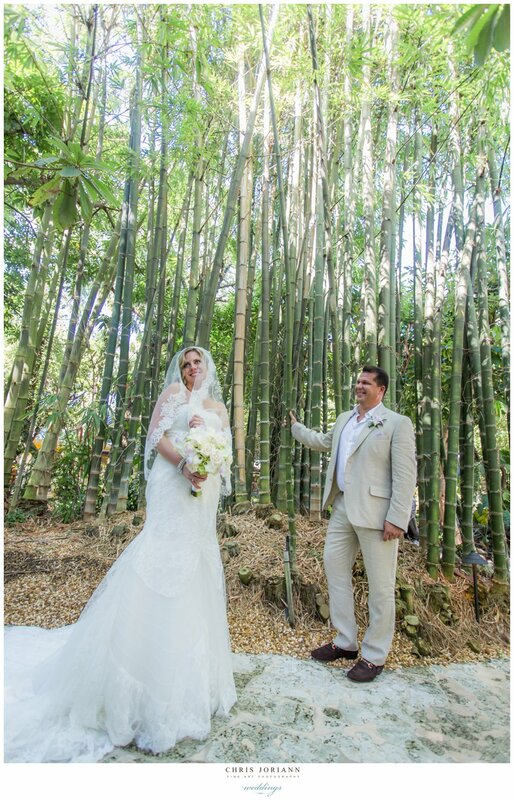 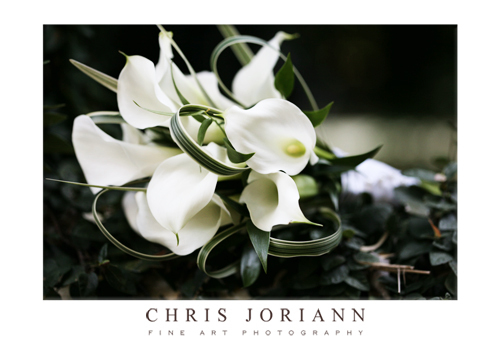 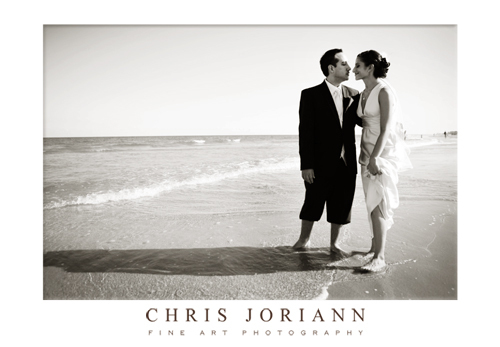 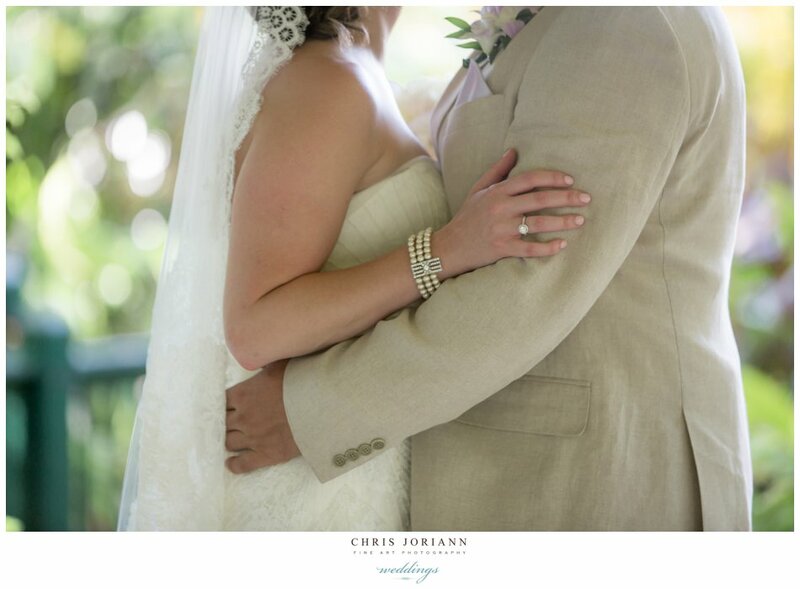 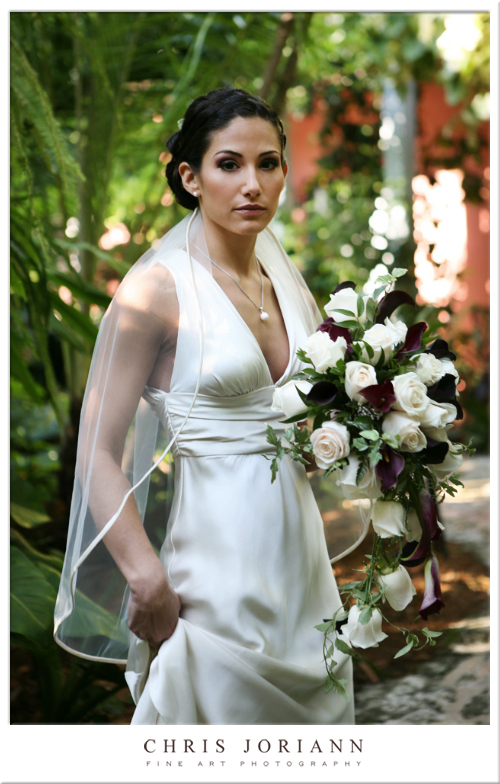 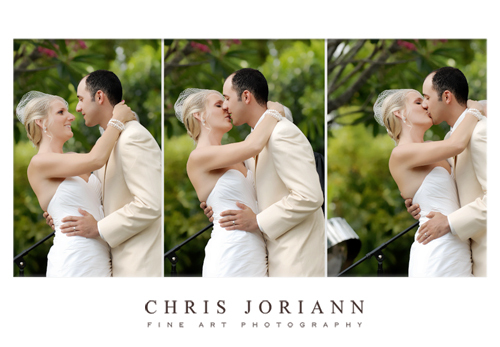 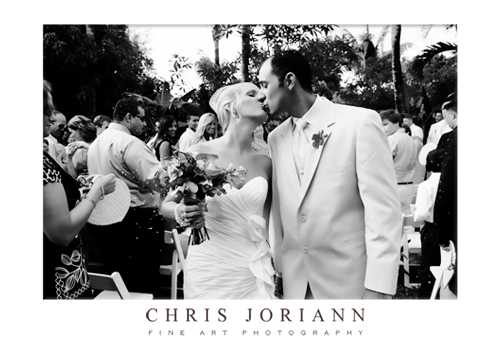 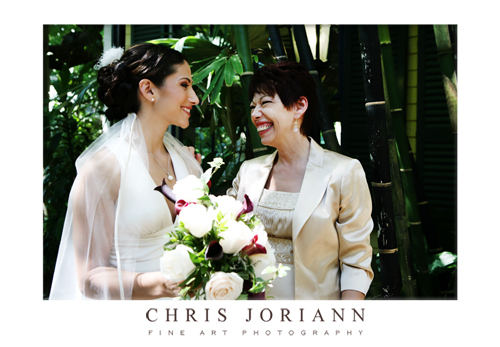 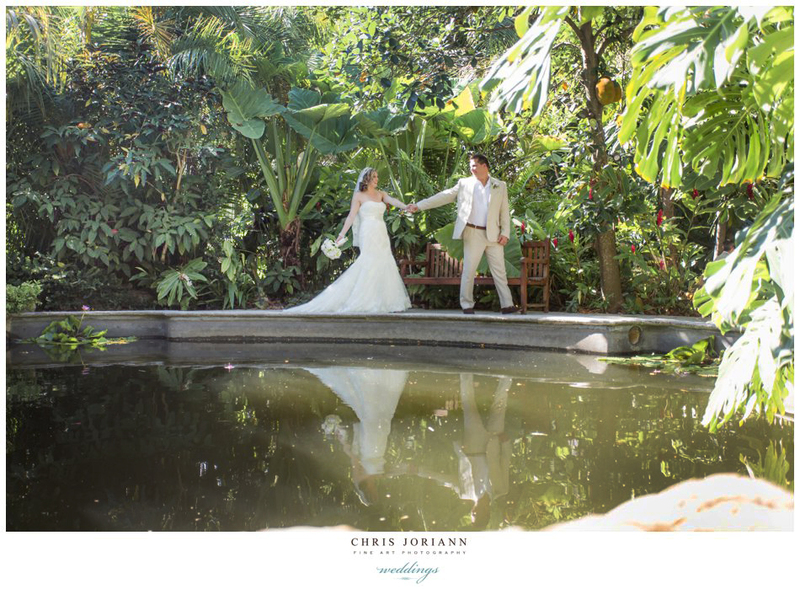 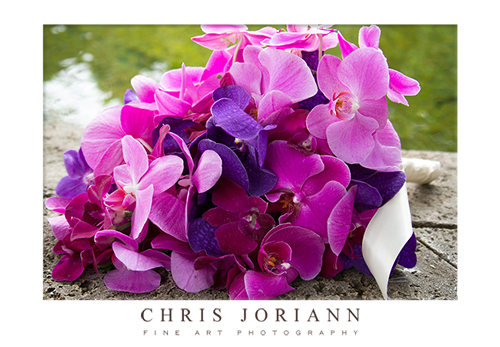 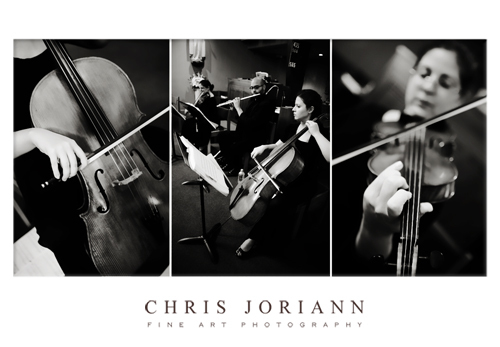 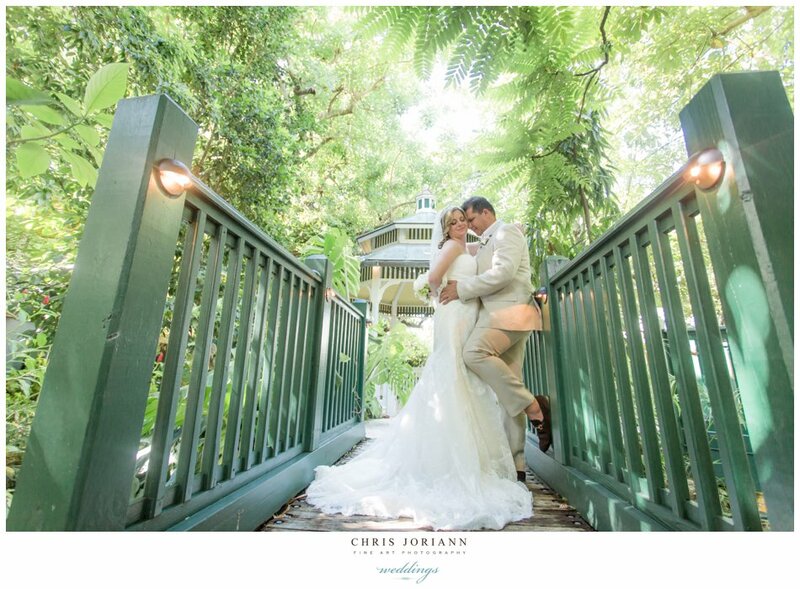 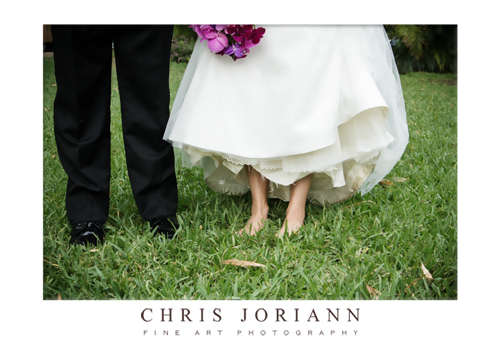 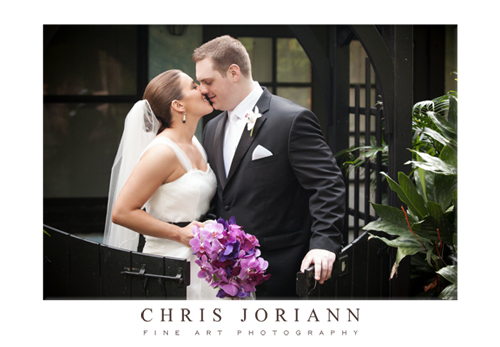 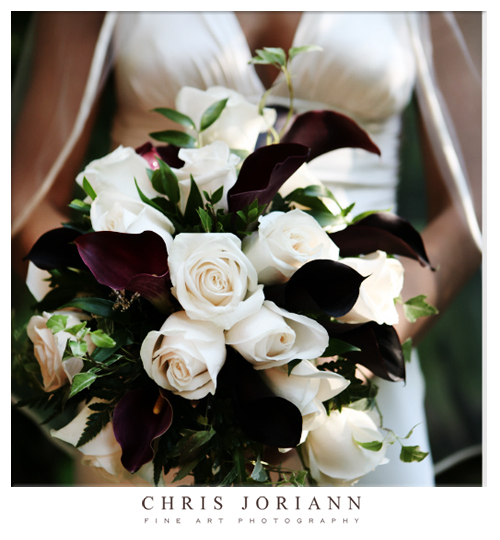 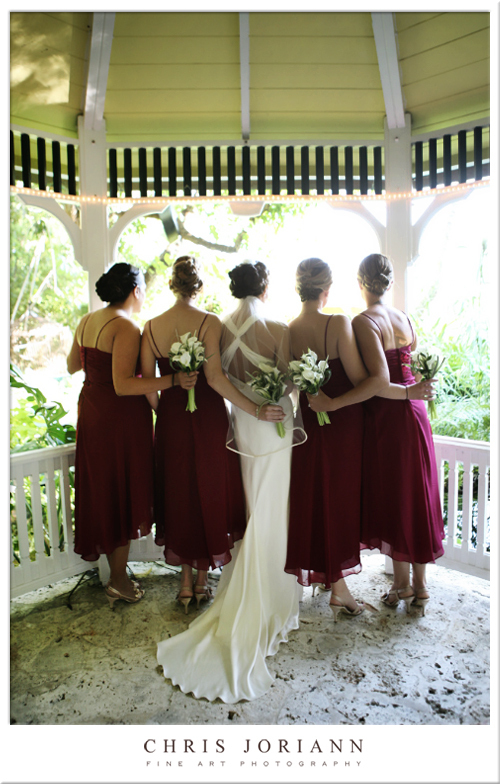 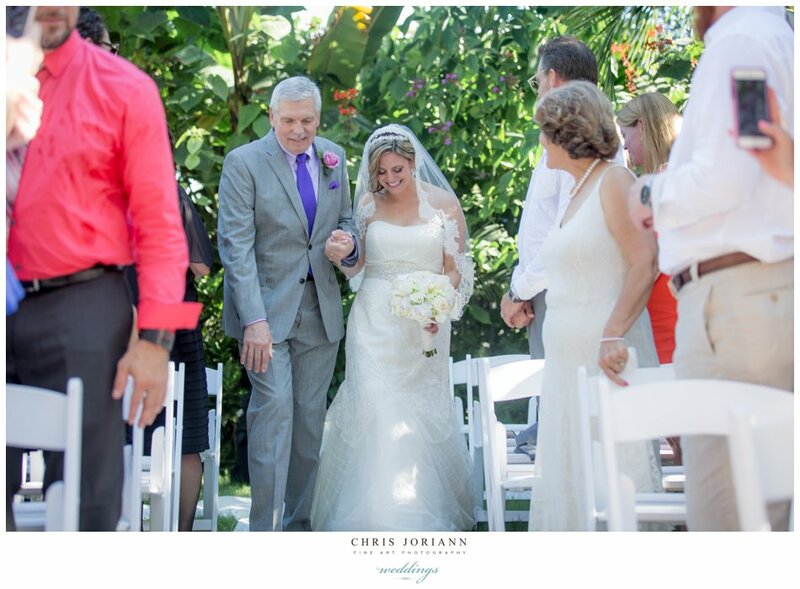 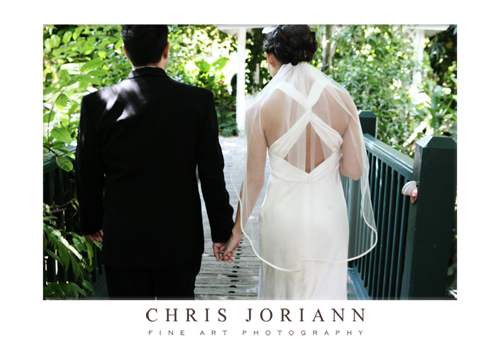 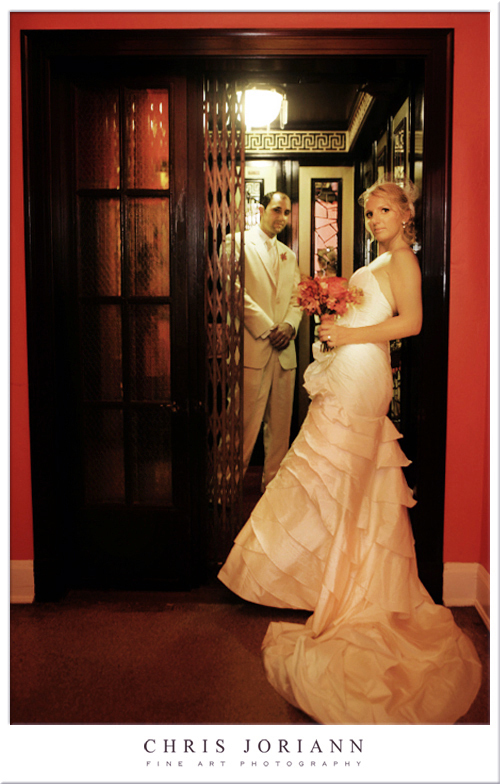 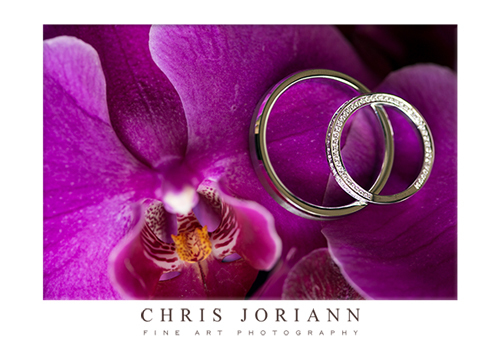 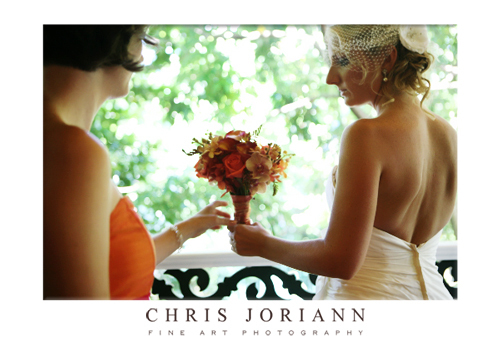 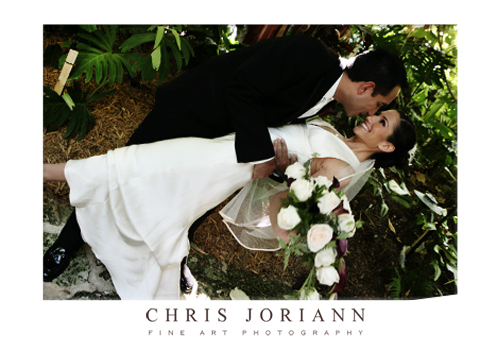 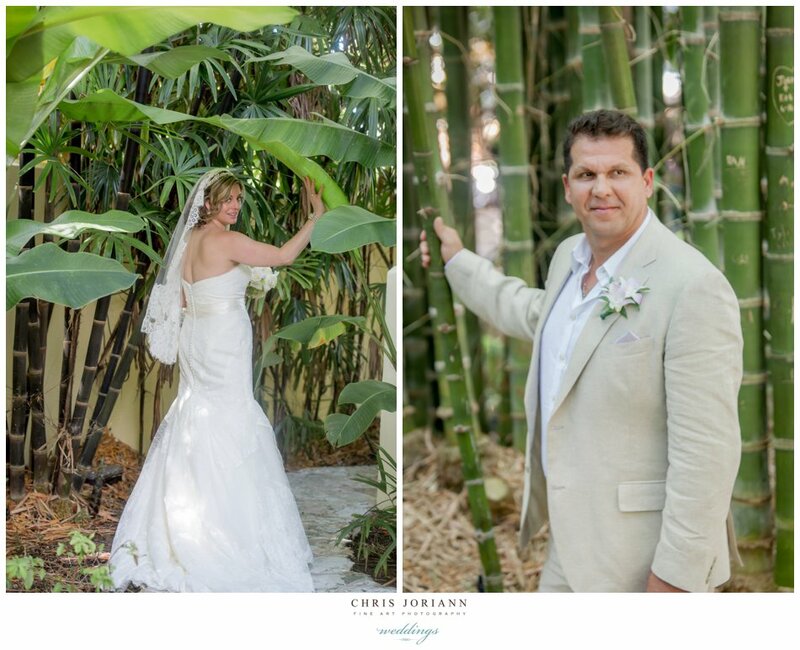 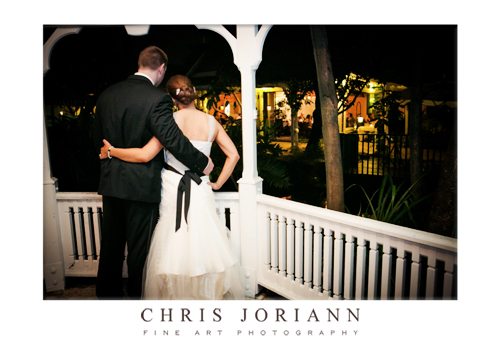 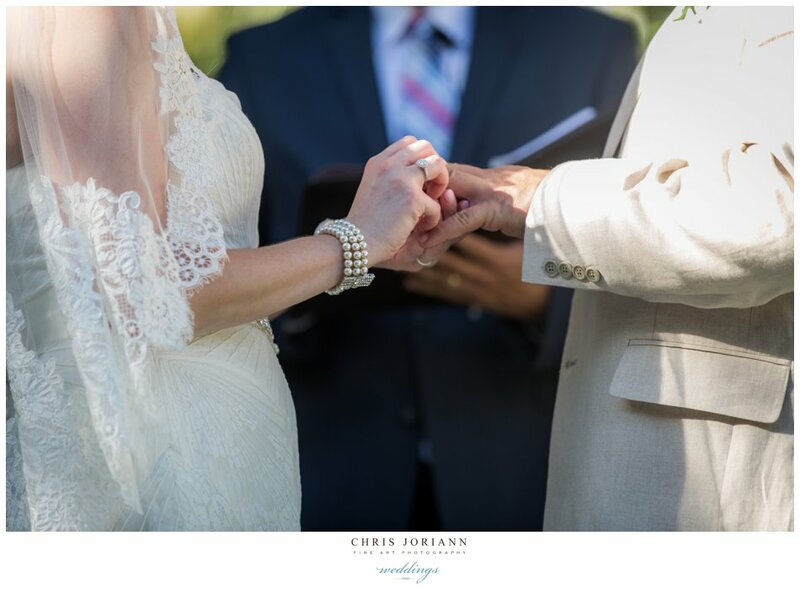 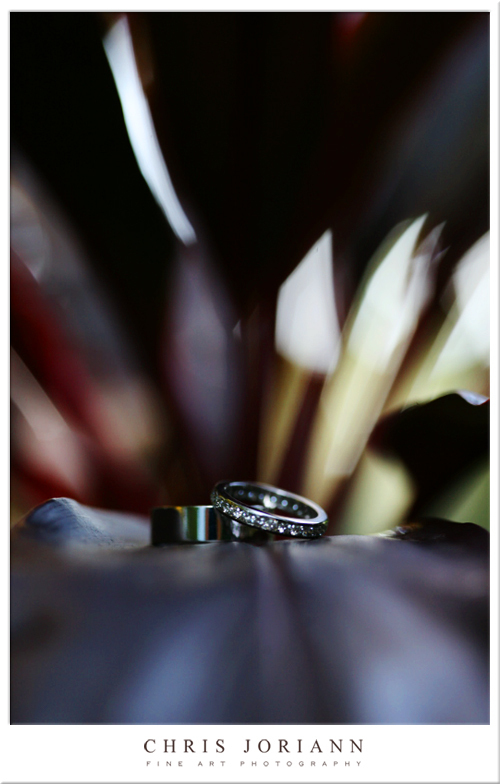 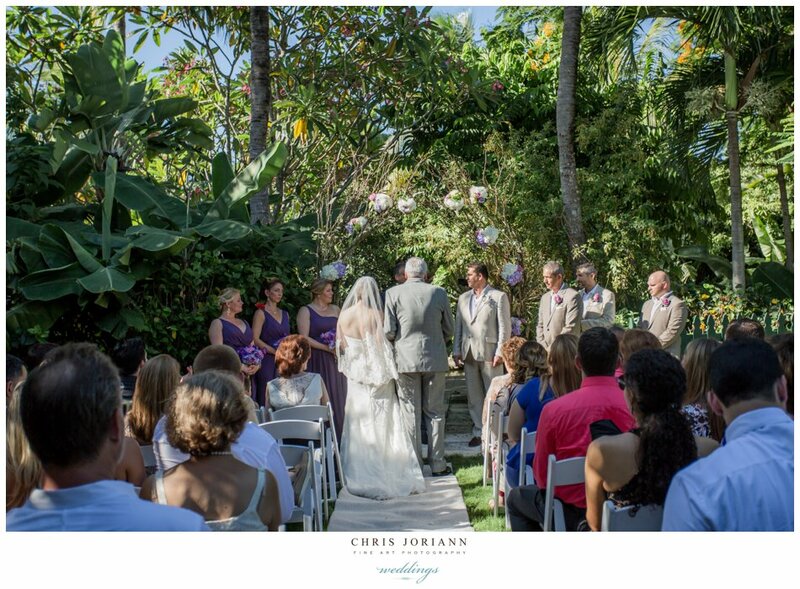 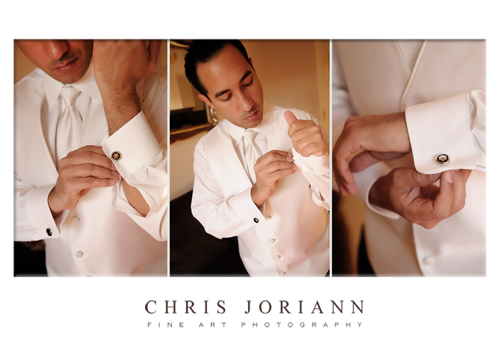 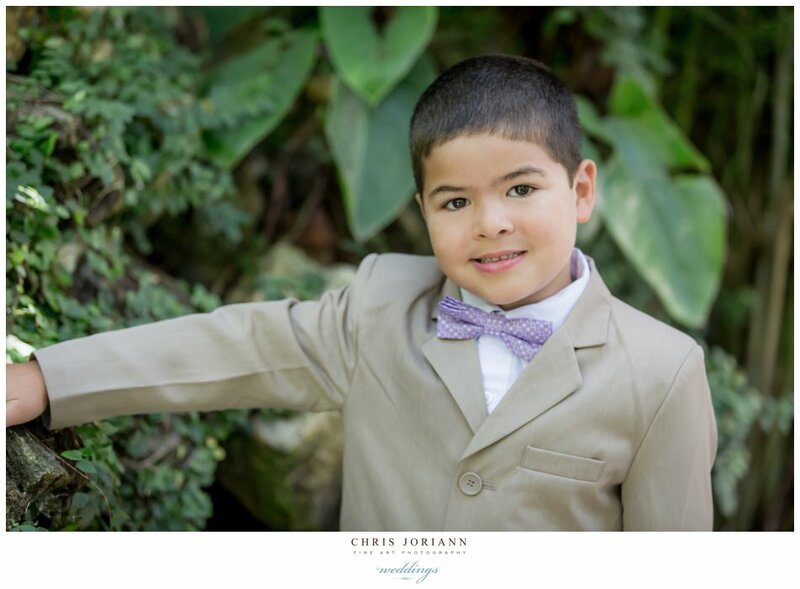 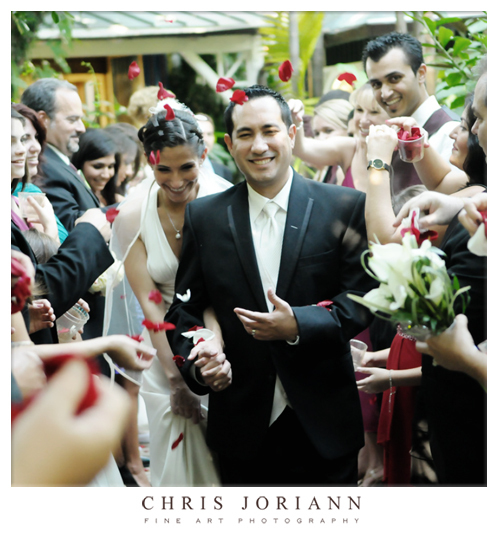 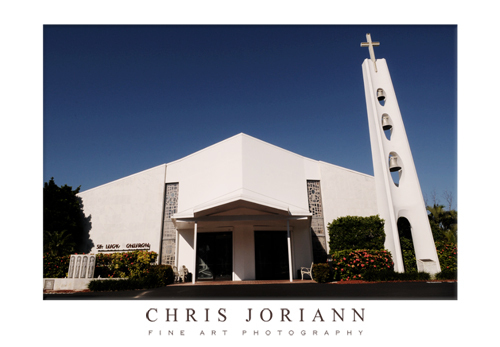 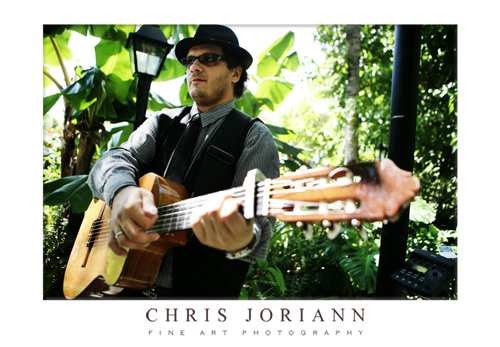 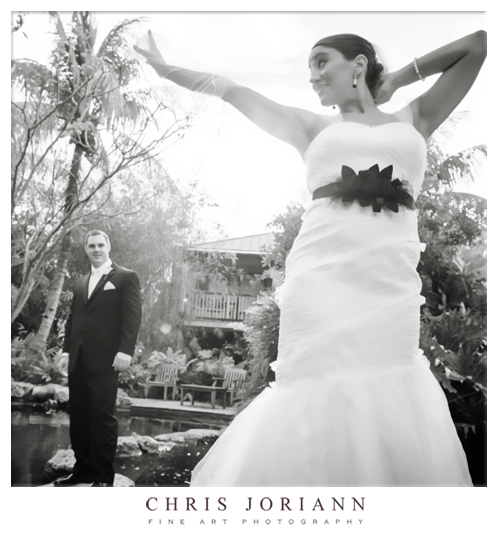 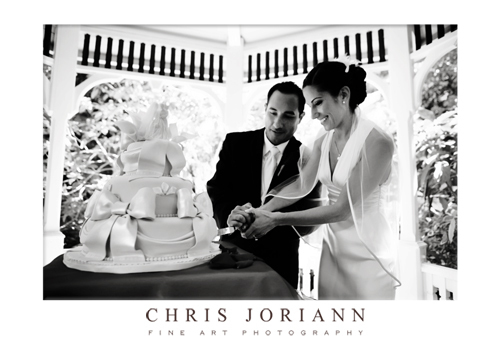 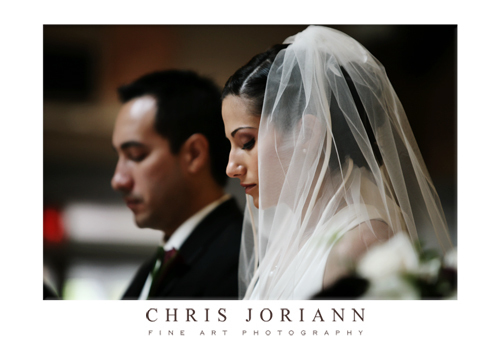 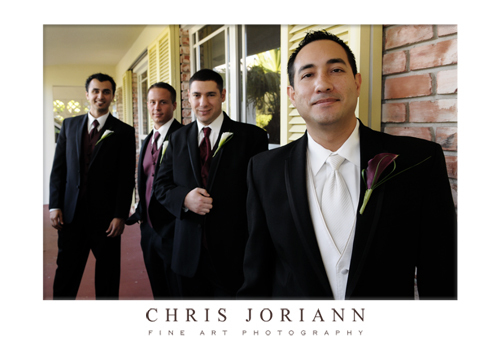 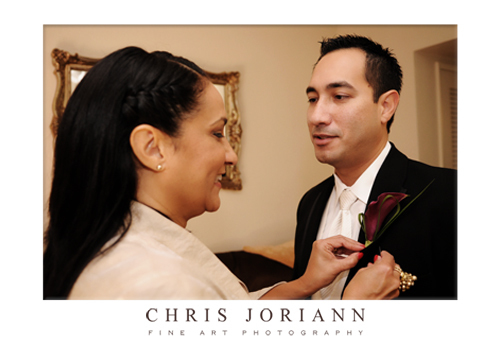 Jessie & Javier had a wonderfully intimate, fall wedding in Delray Beach. 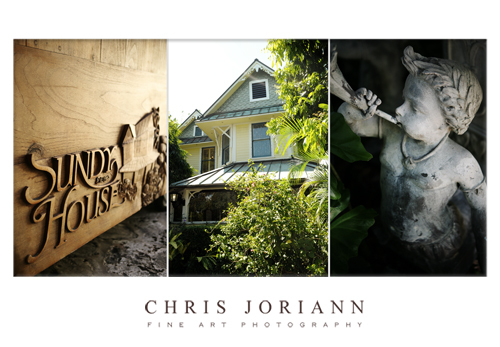 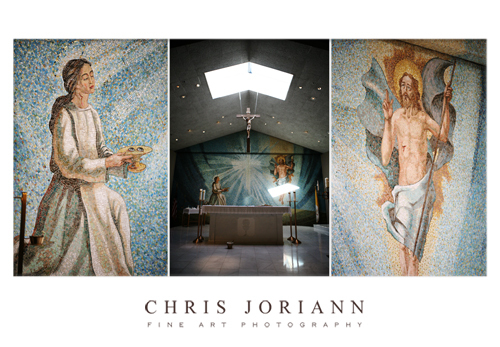 Once again, I had the pleasure of shooting at the unique Sundy House, one of South Florida’s most fabulous boutique properties. 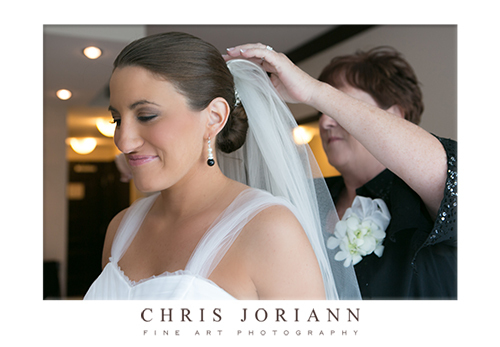 Team Beauti’s artists airbrushed Jessie’s makeup flawlessly, and their hair stylists, created a great woven updo. 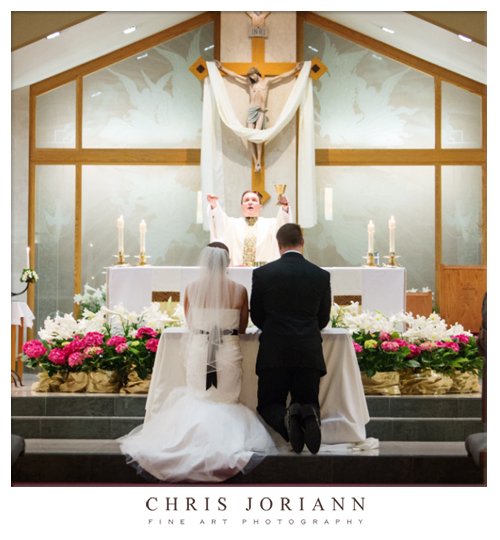 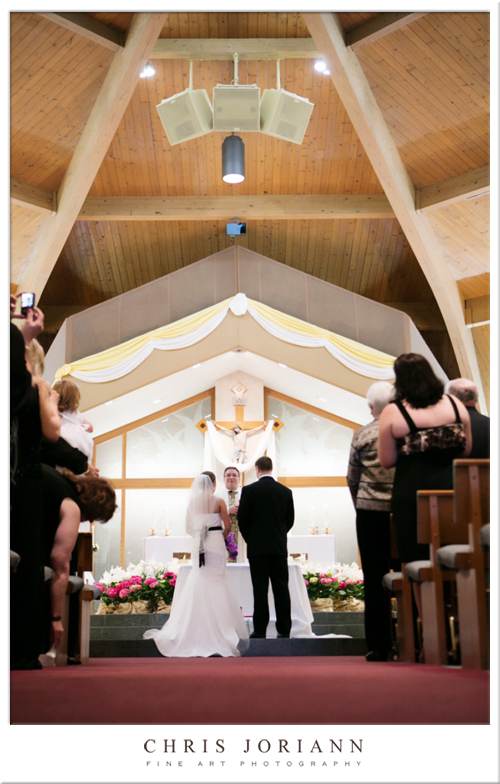 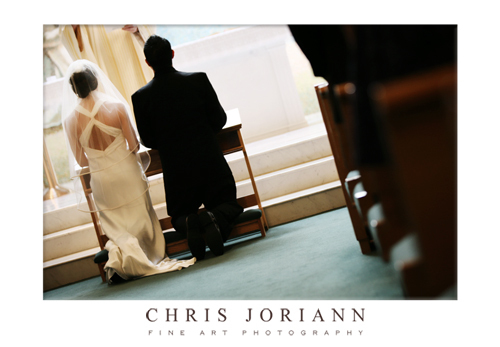 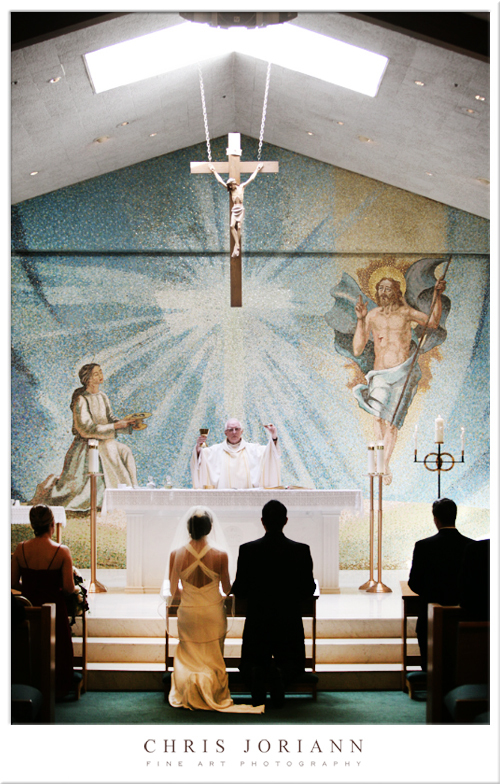 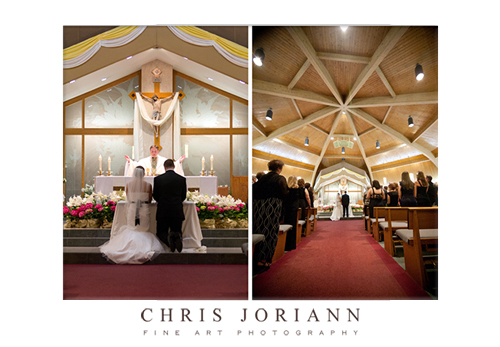 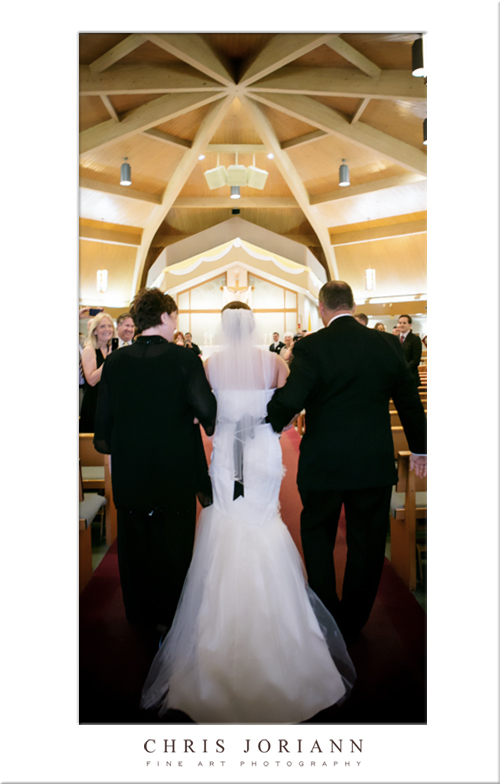 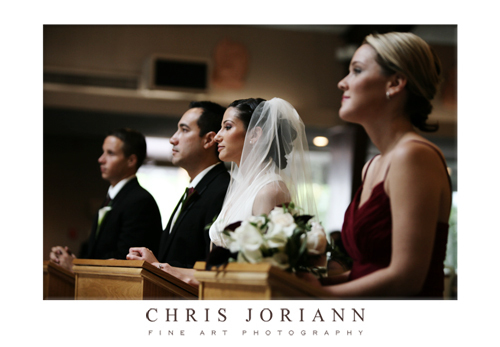 The catholic ceremony took place at St. Lucy Church. 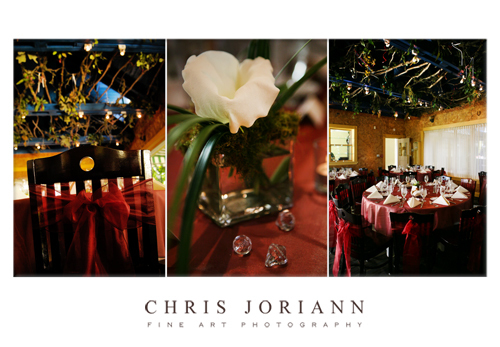 The indoor/outdoor reception had rich burgundy details. 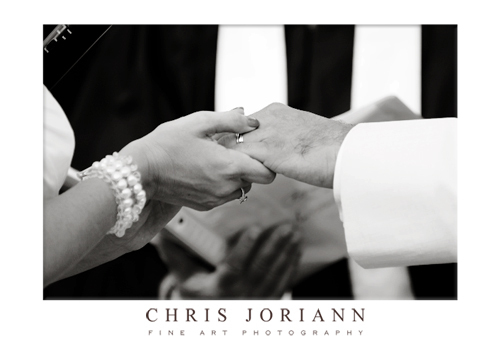 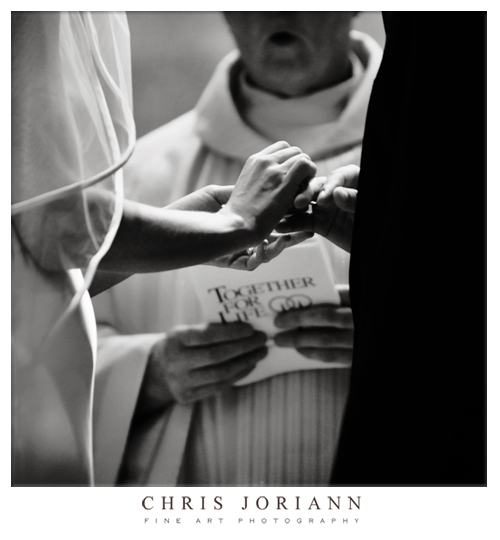 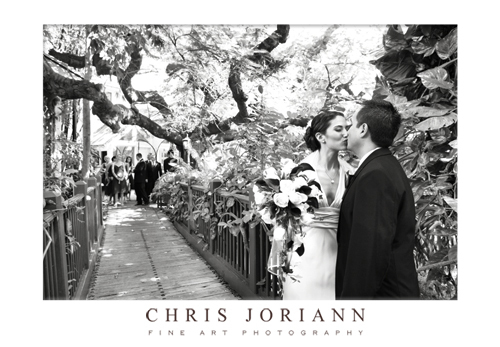 The newlyweds exited over the guest lined bridge, as petals were tossed at the happy couple for luck. 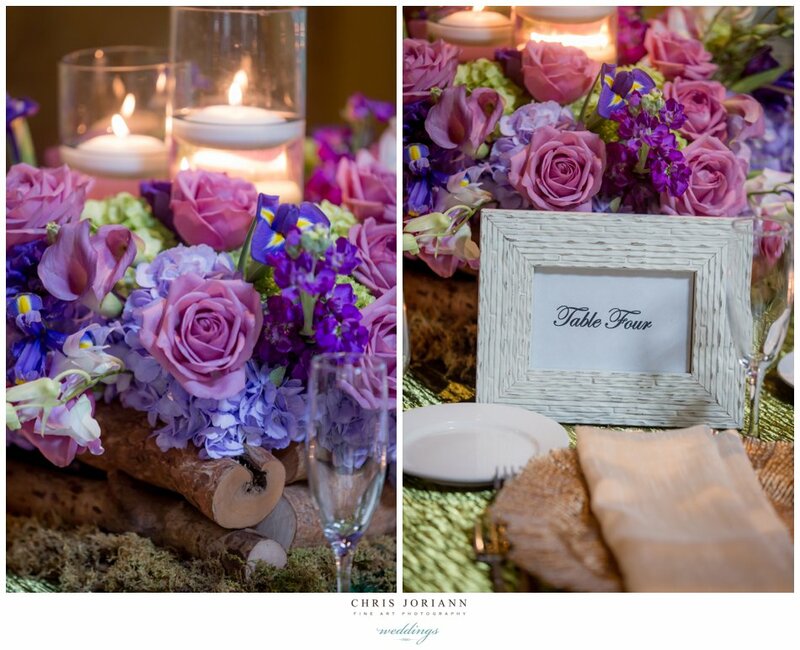 Eclectic… Exotic… and Fruity! 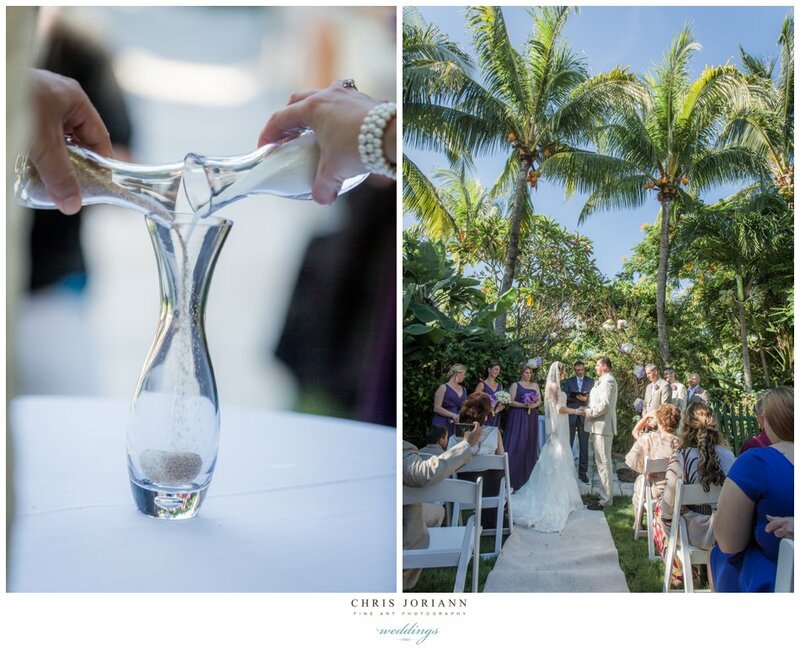 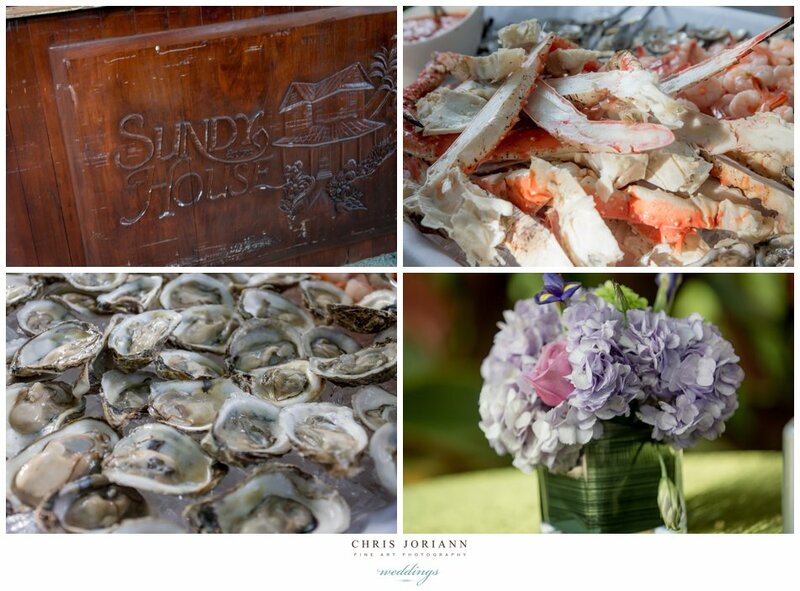 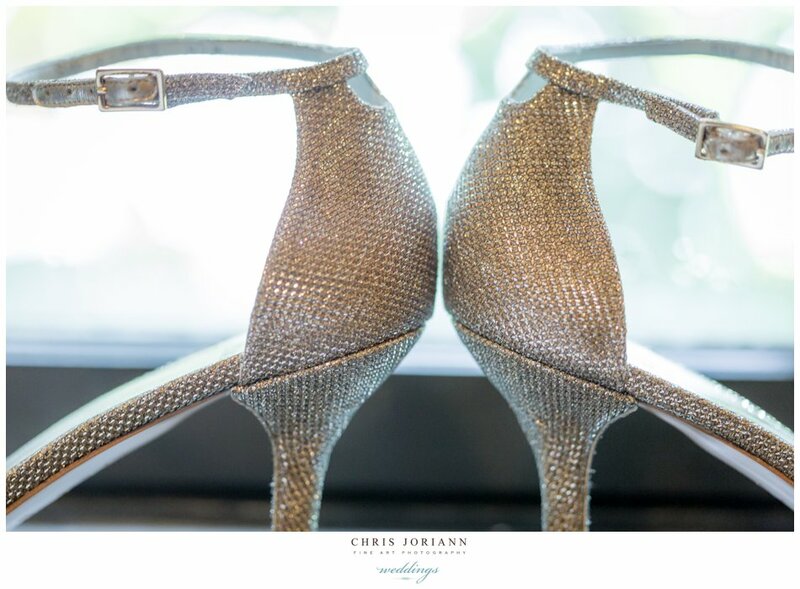 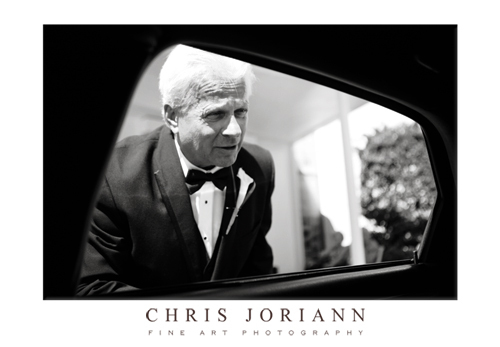 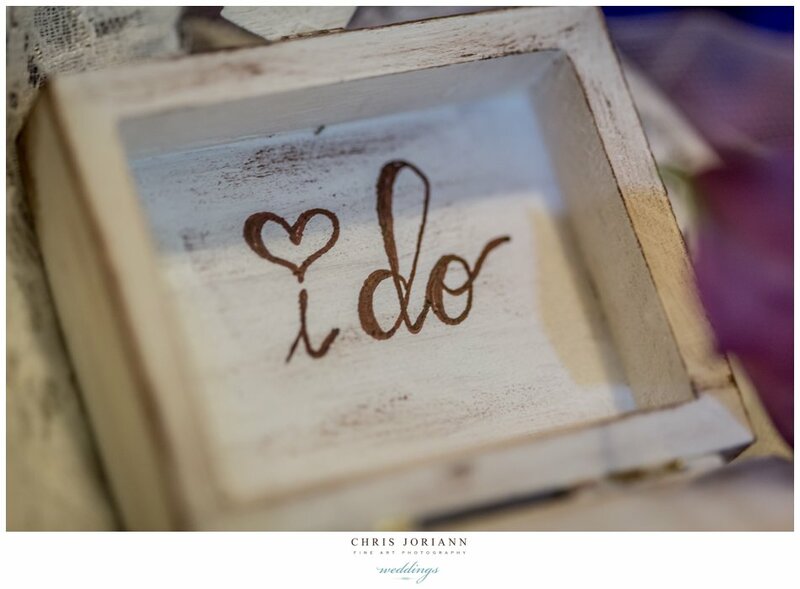 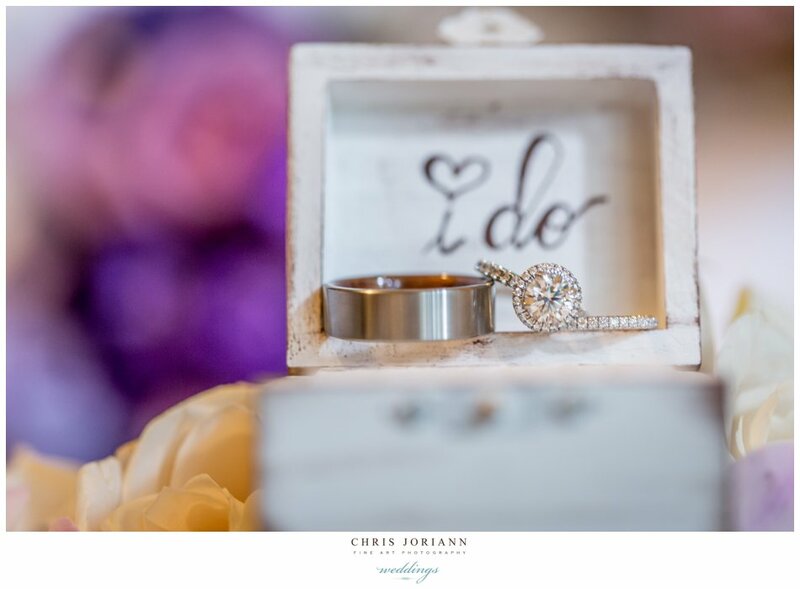 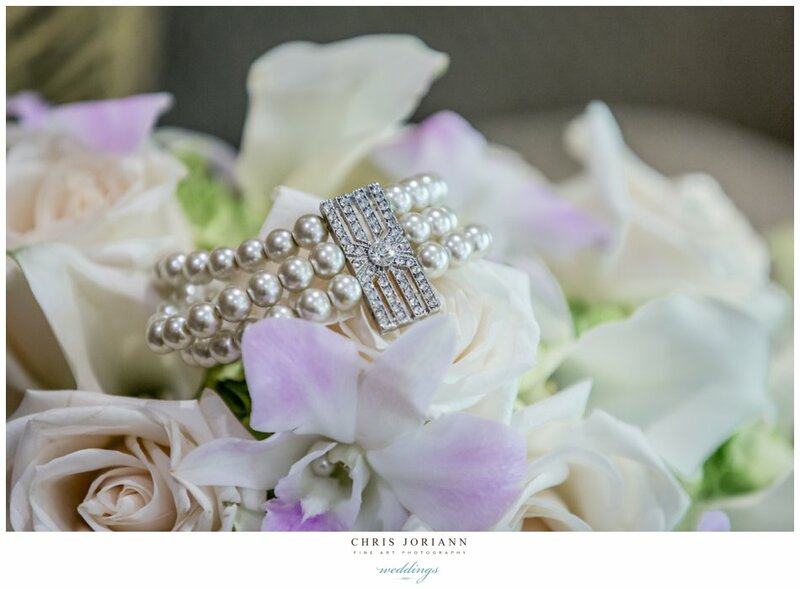 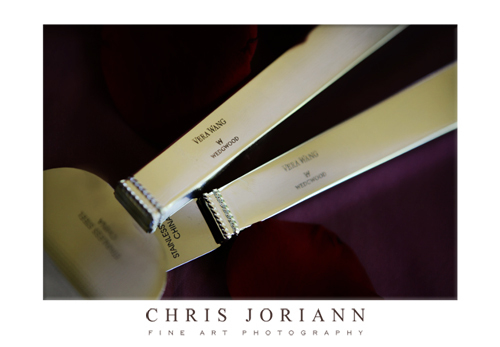 That is how I would describe Bryn and Anthony’s fabulously detailed wedding at the Sundy House, one of Delray Beach’s finest boutique properties. 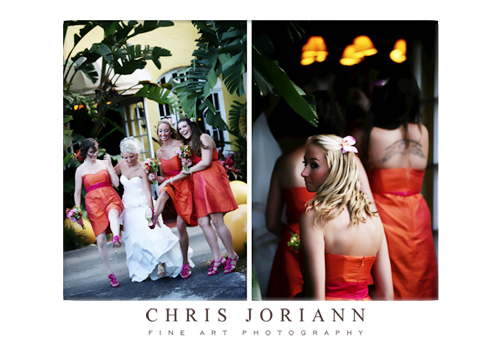 The deep oranges, magentas, and golds, were all coordinated to perfection. 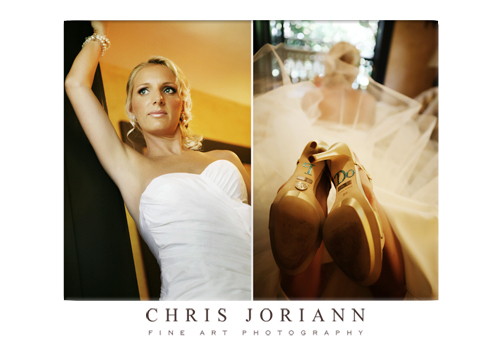 Check out her something blue. 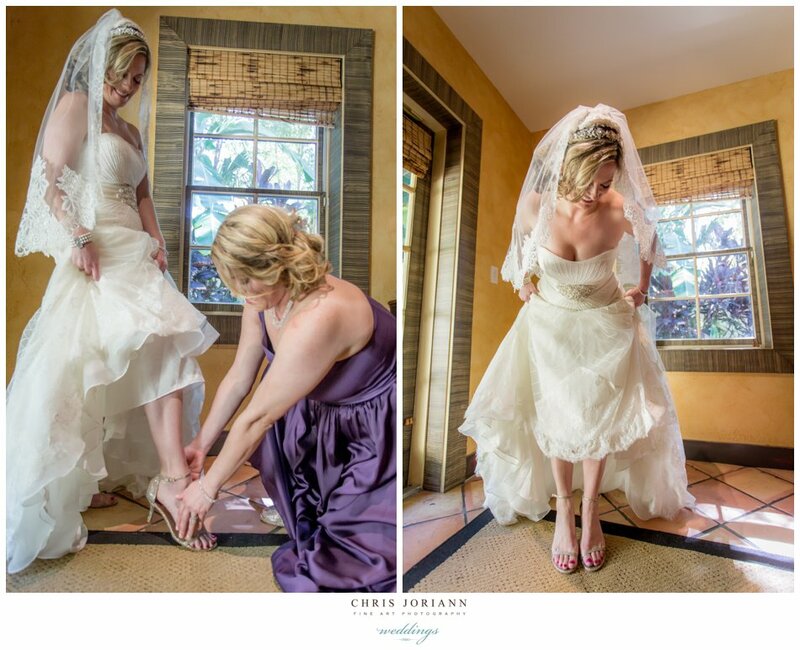 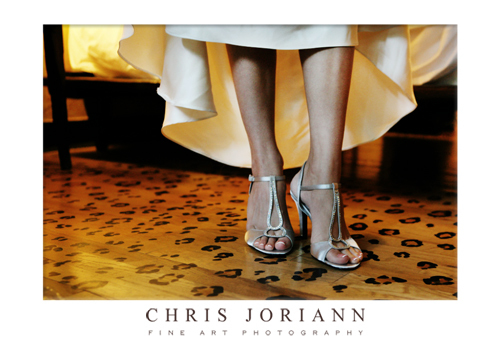 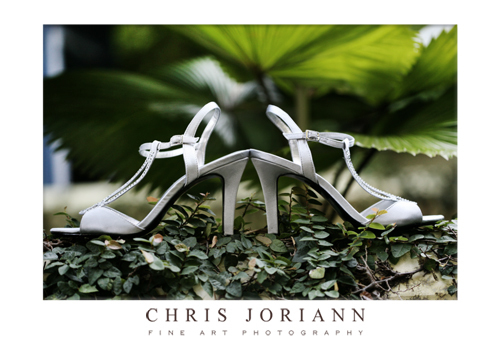 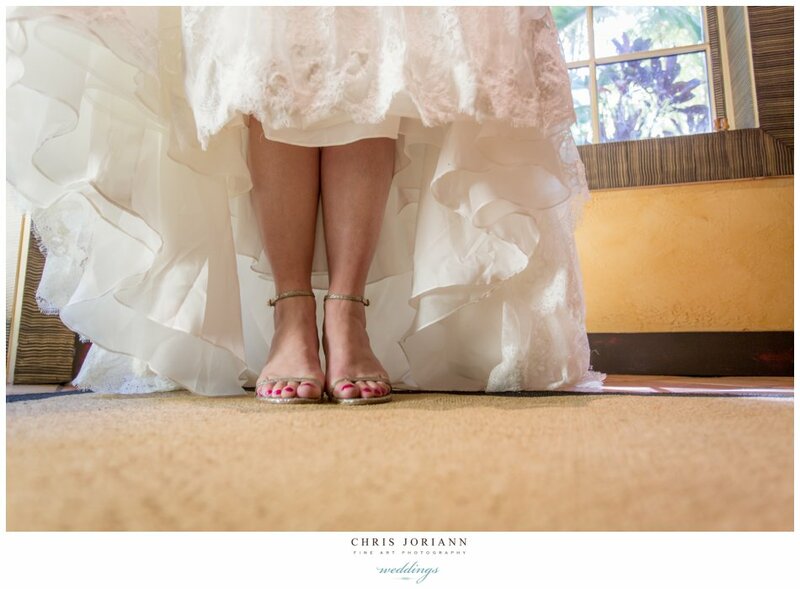 The “I Do!” rhinstones lettering, on the soles of her shoes are from Mindy Weiss… and there is even a penny for good luck. 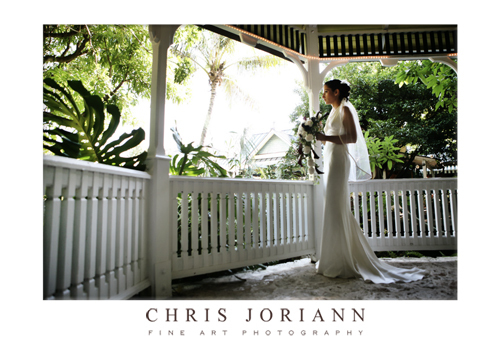 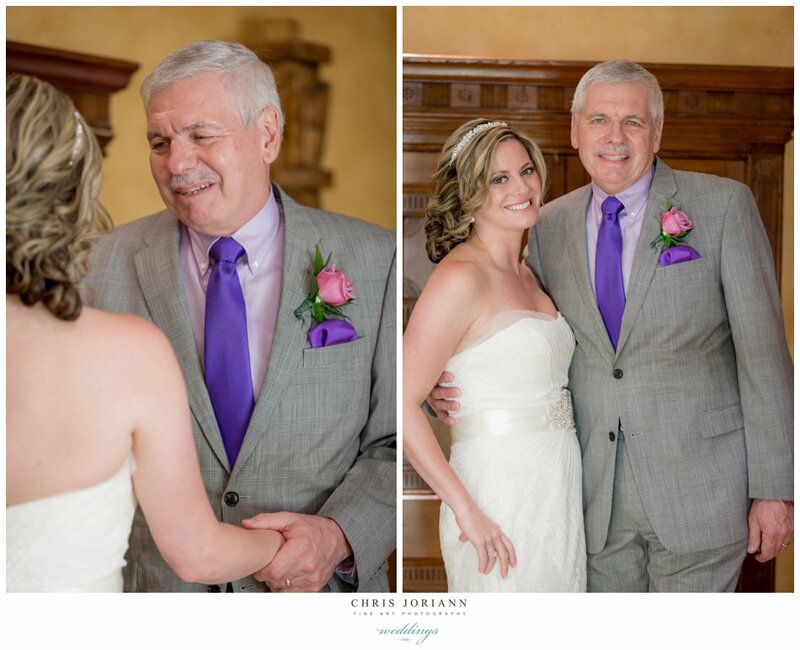 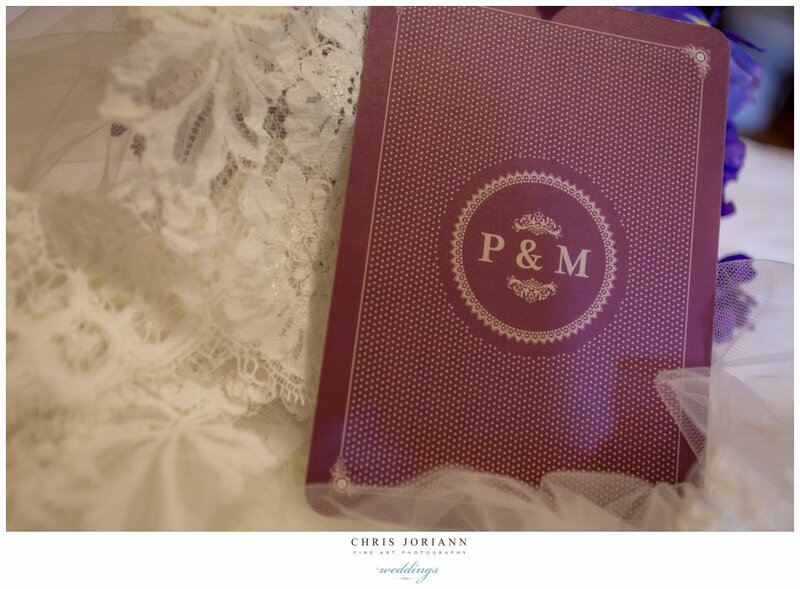 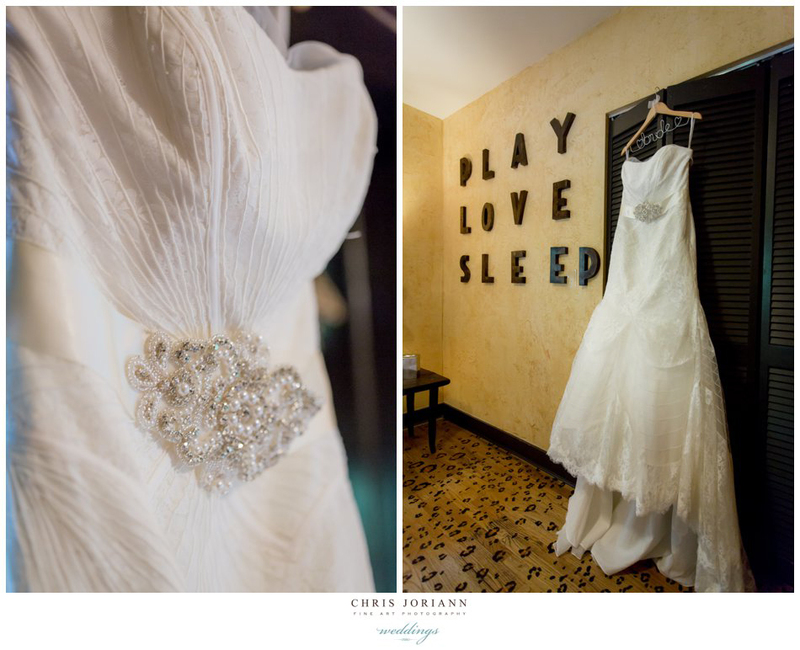 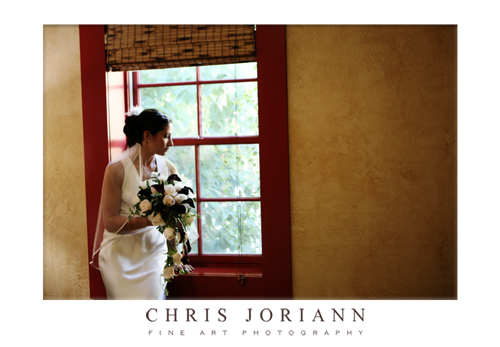 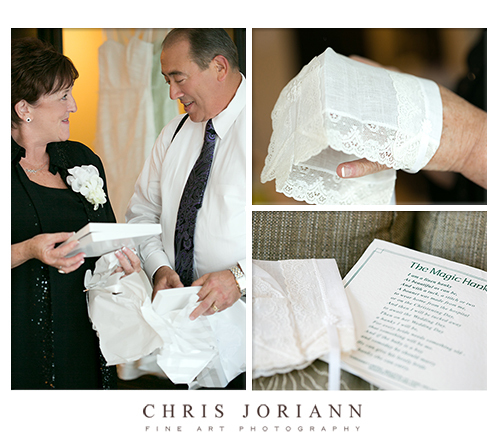 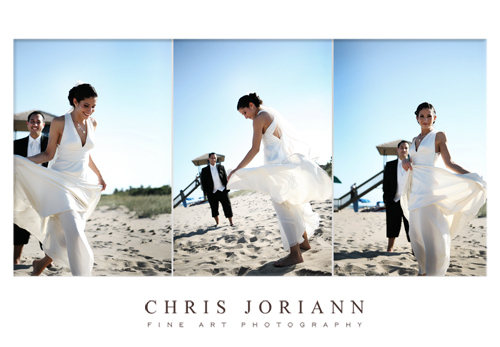 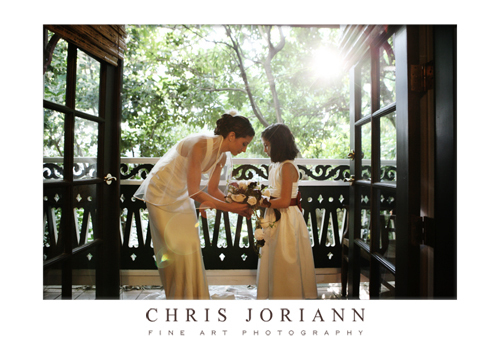 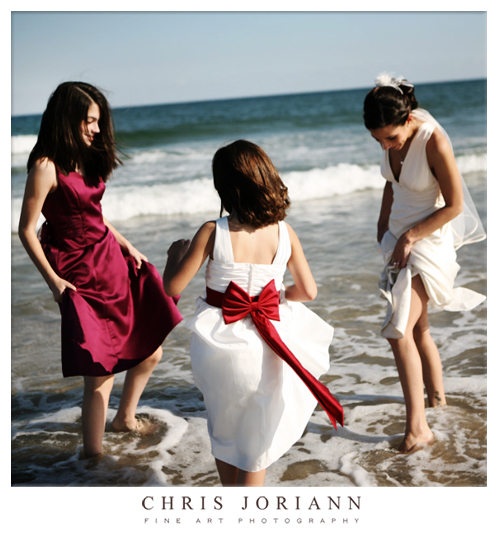 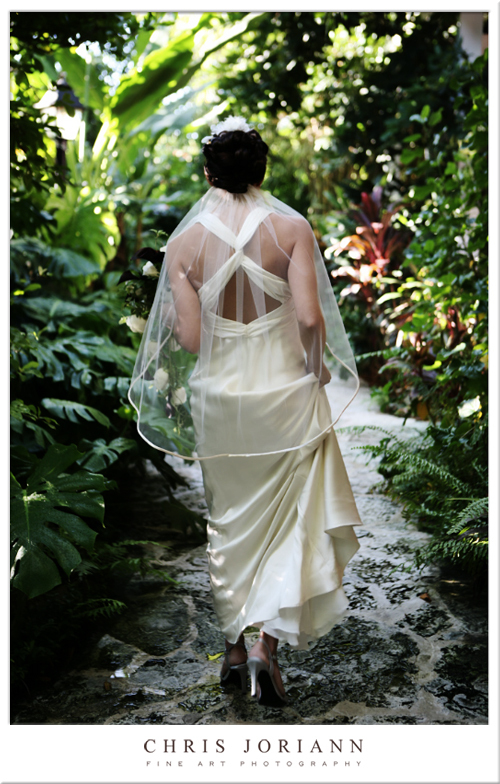 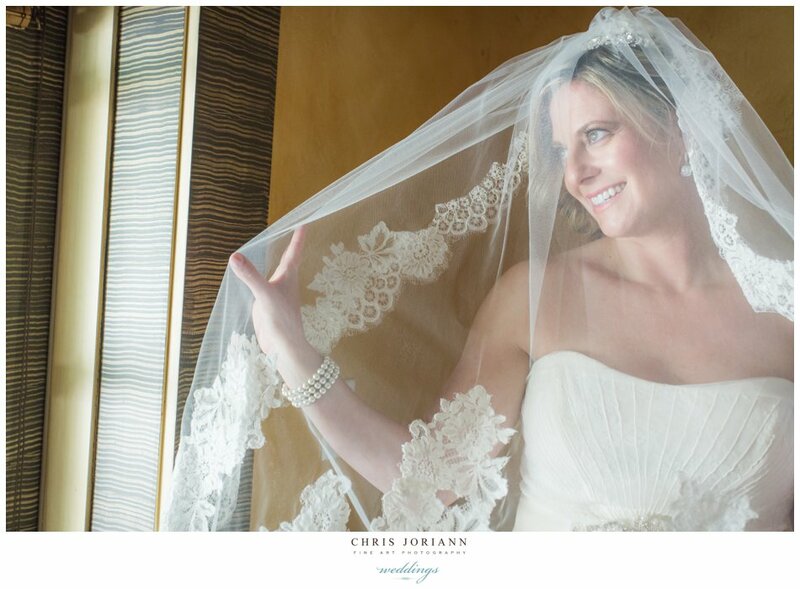 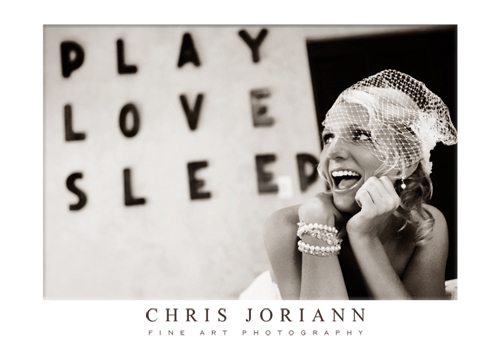 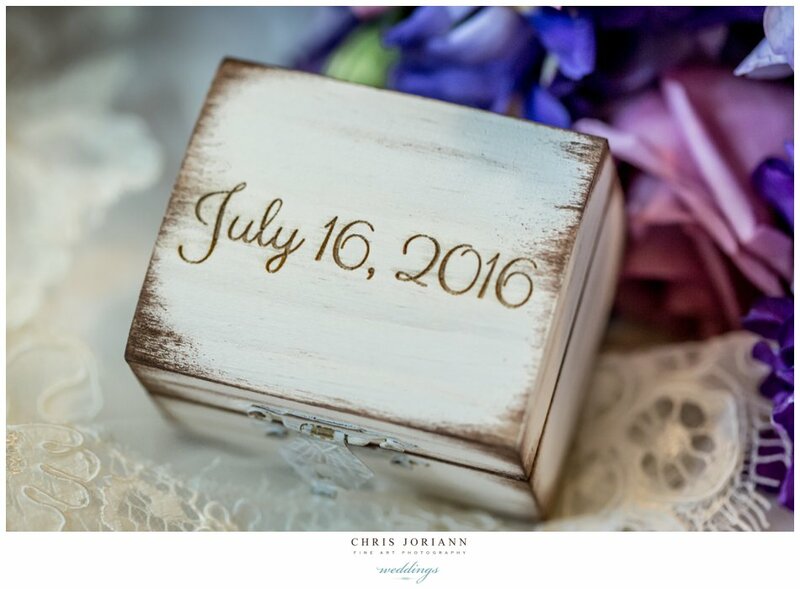 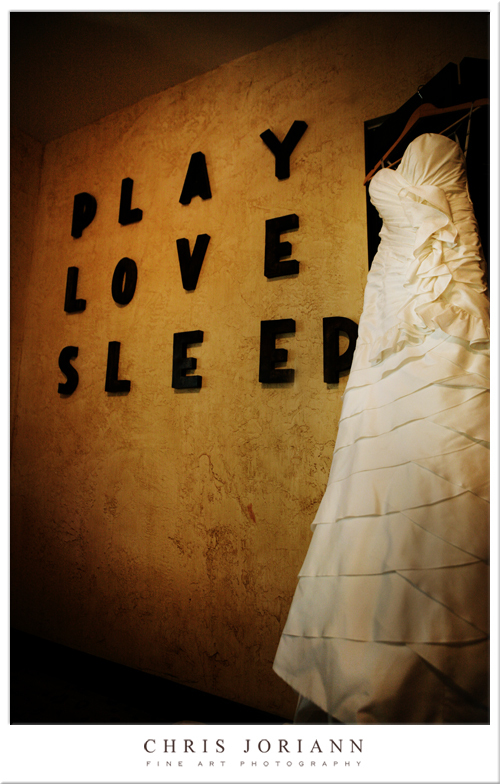 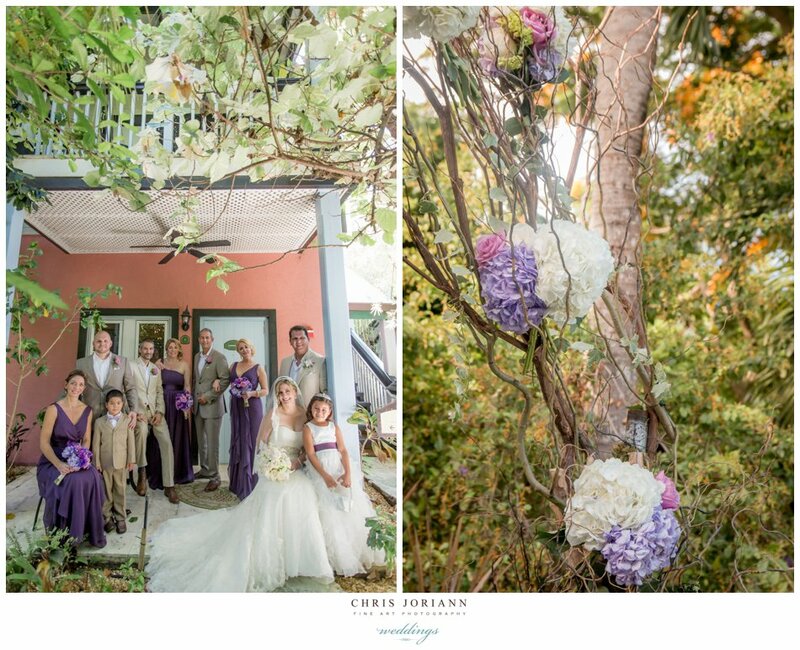 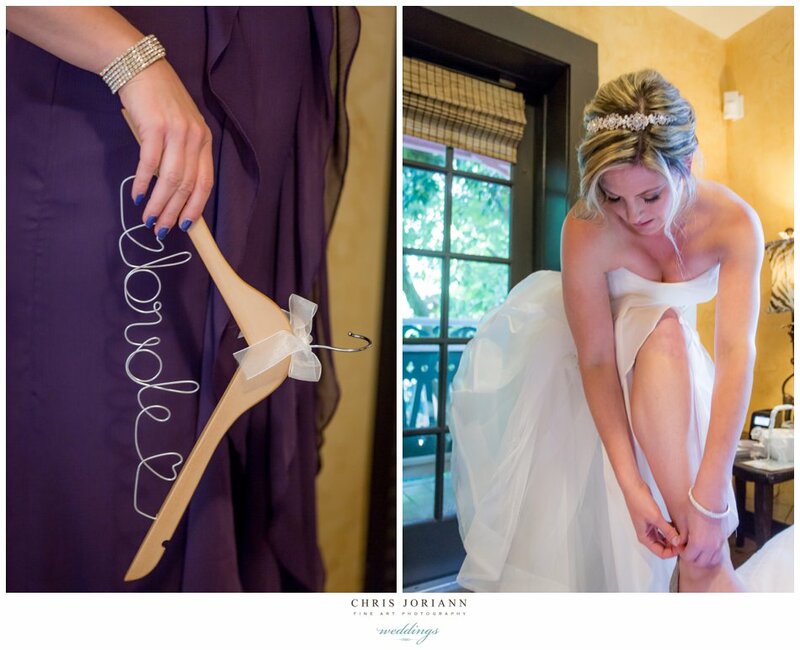 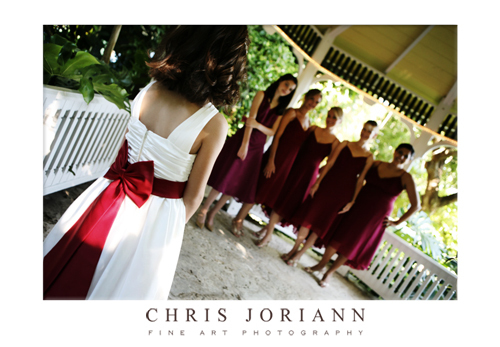 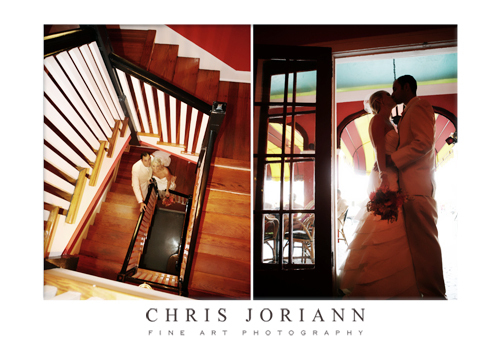 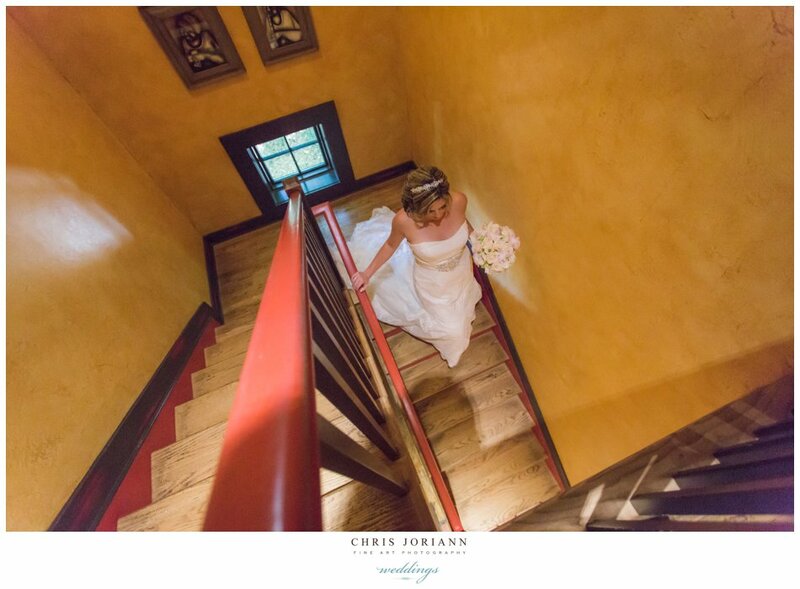 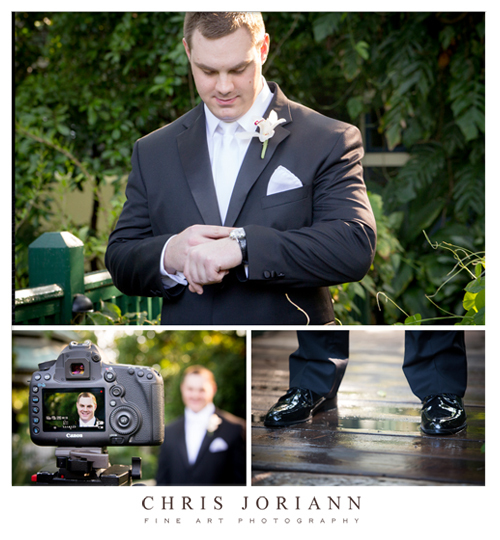 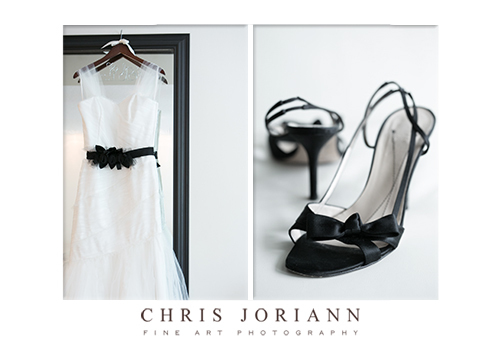 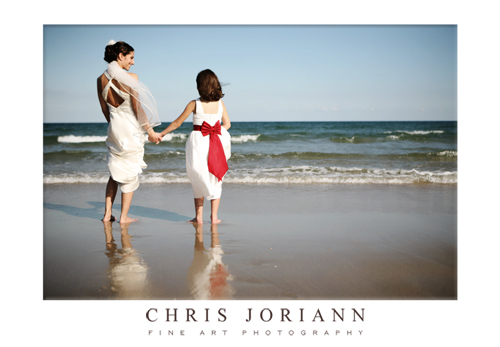 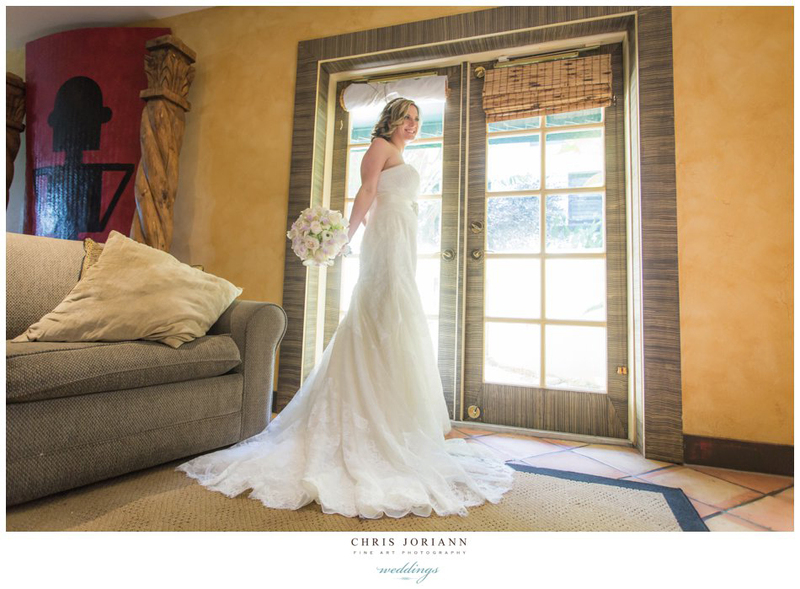 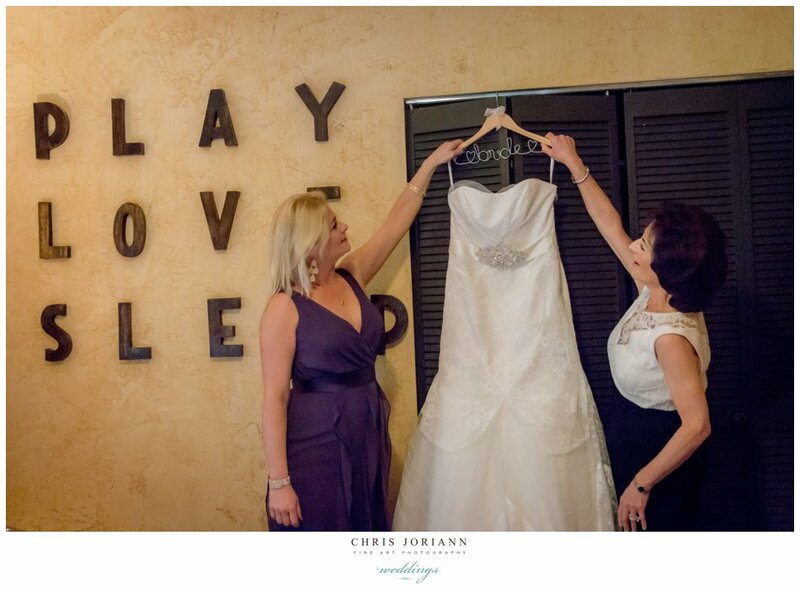 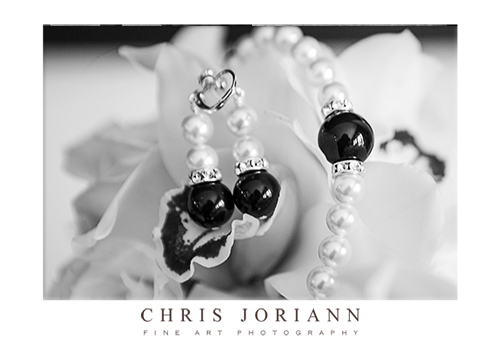 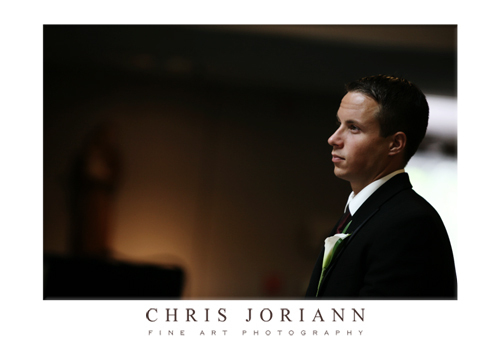 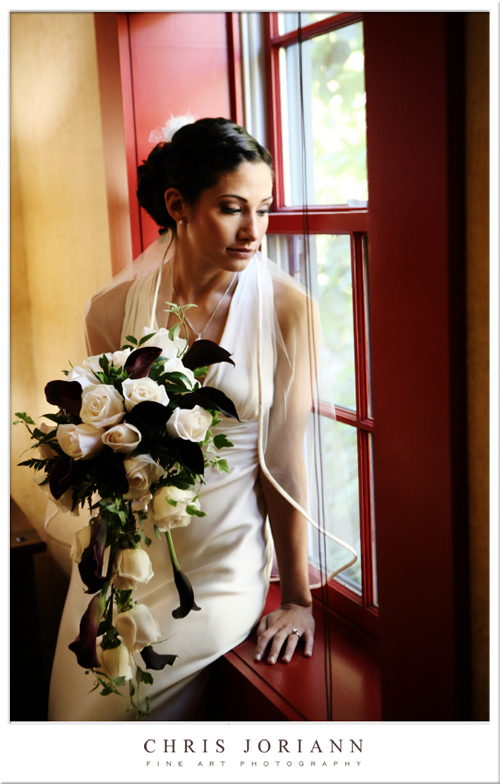 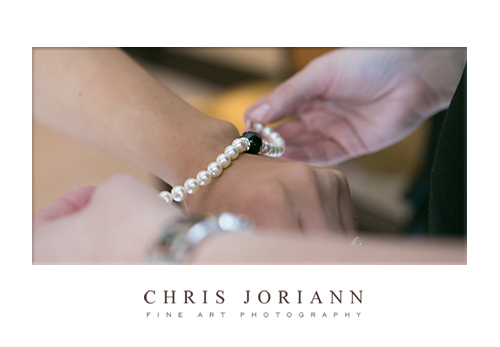 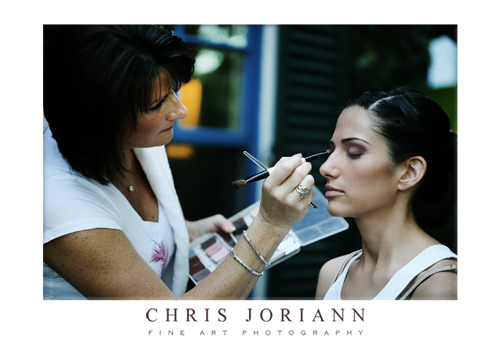 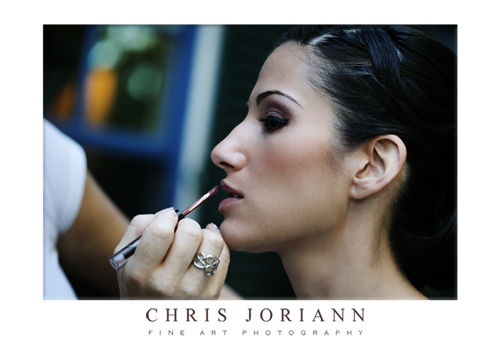 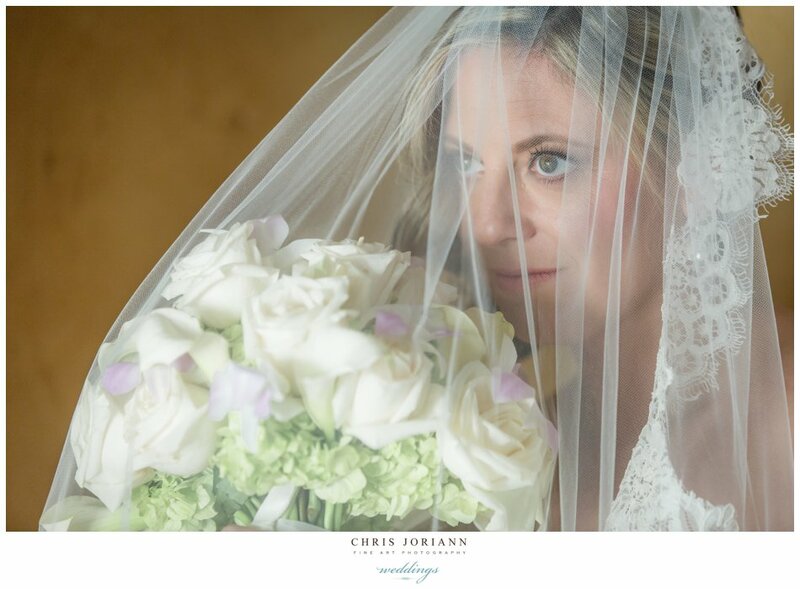 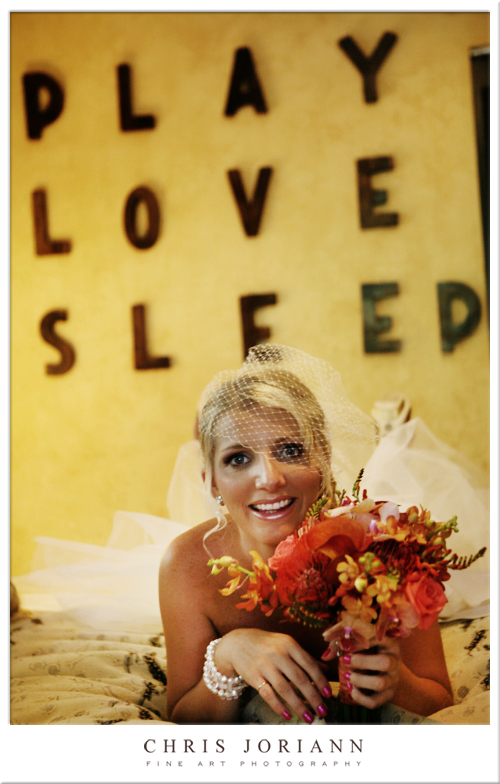 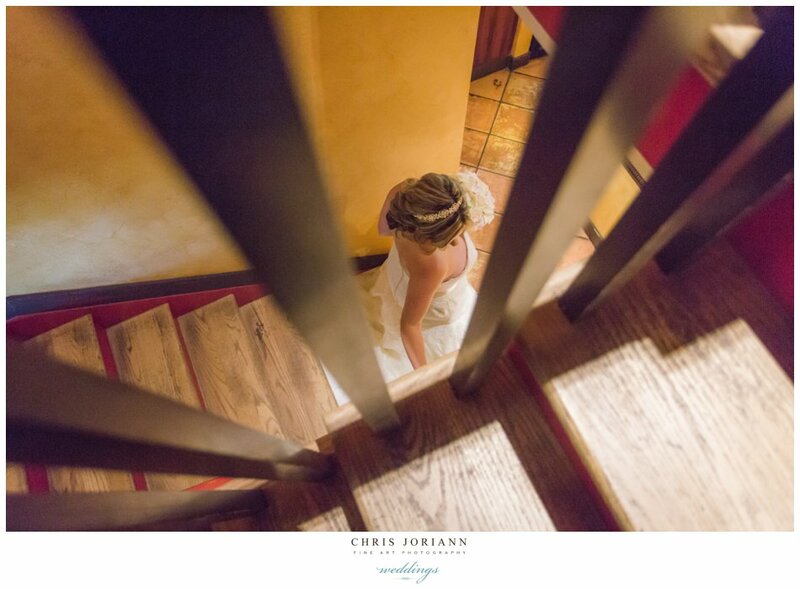 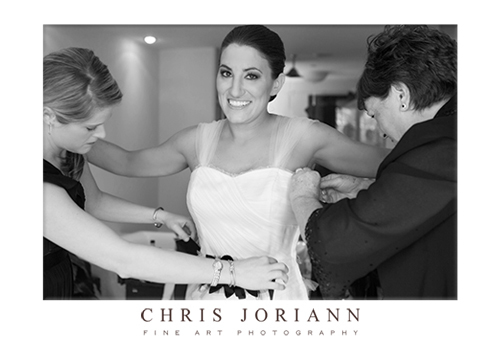 The bride got ready in the “Play, Love, Sleep” cottage… one of my favorites. 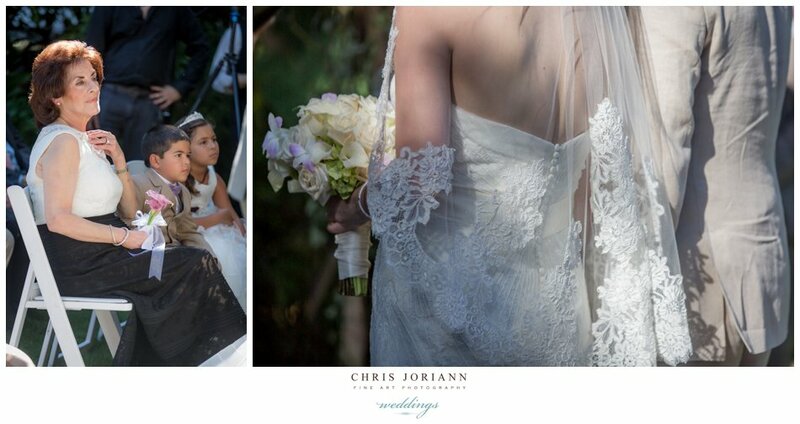 From her netted headpiece, and Simone Carvalli couture gown, right down to her to-die-for 5″ Badgley Mischkas. 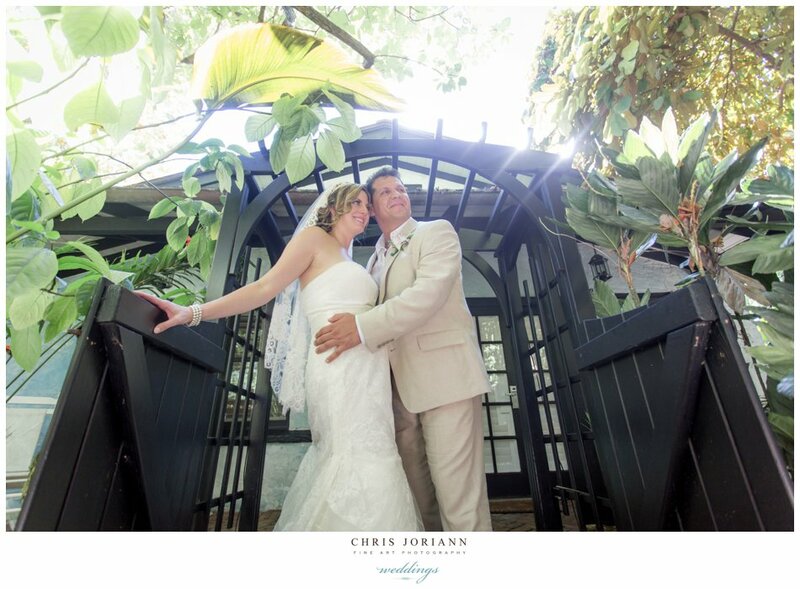 The blue french doors lead out to a wonderful balcony. 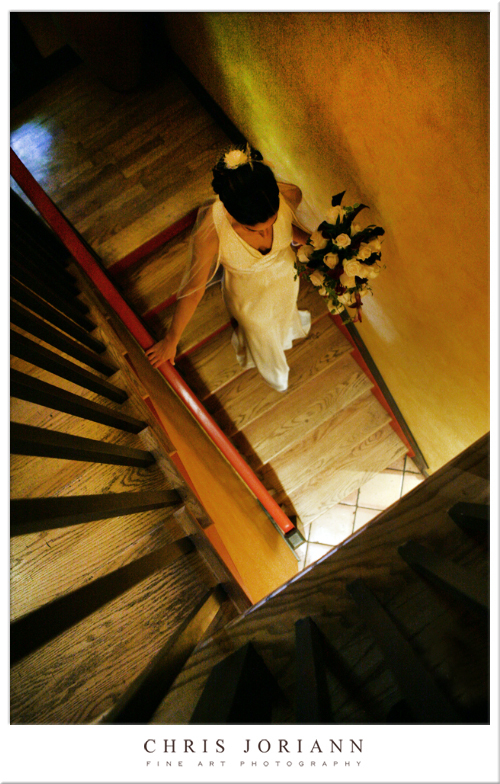 Isn’t that railing super fun? 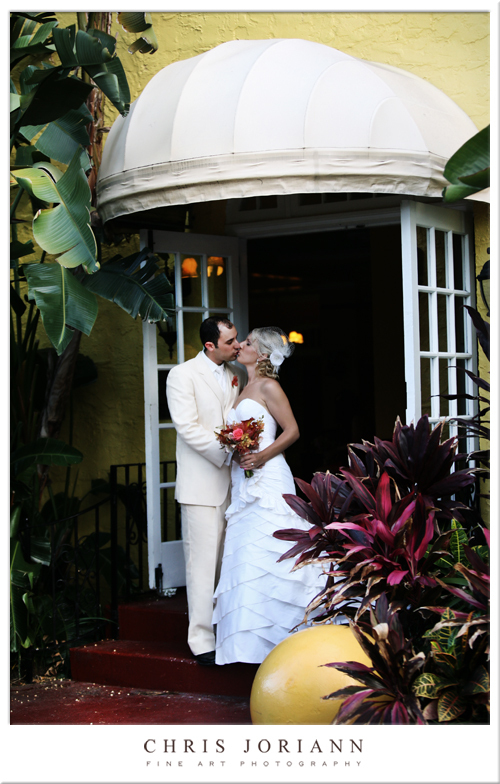 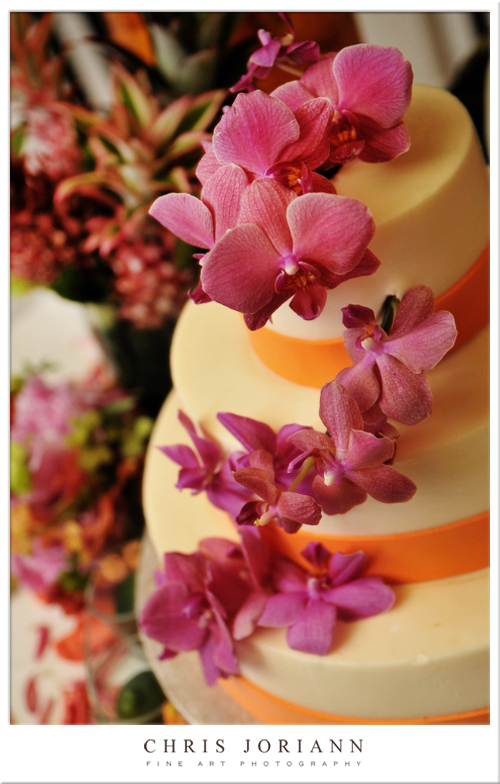 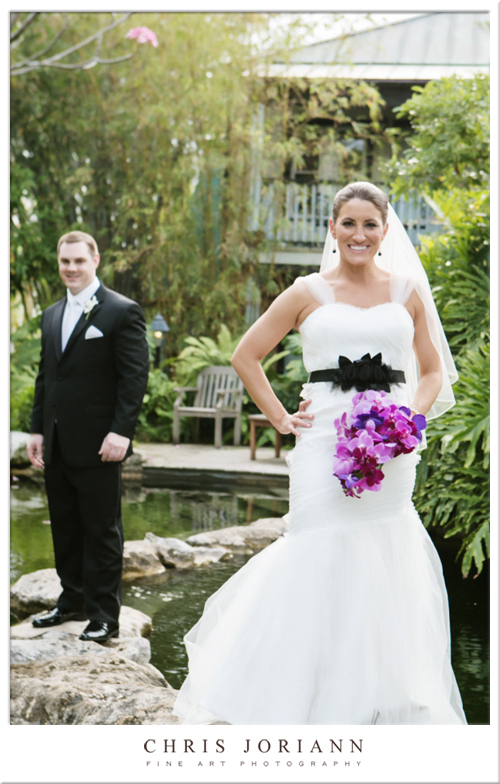 The flowers, by Love’s Flower Shoppe, were bright and tropical. 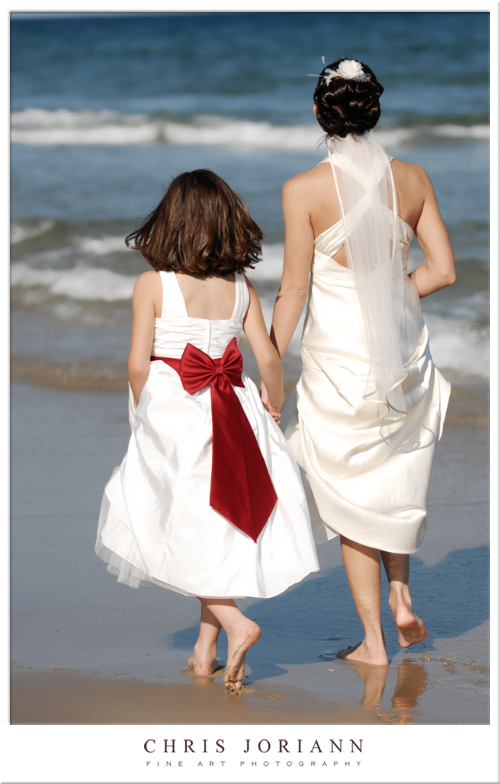 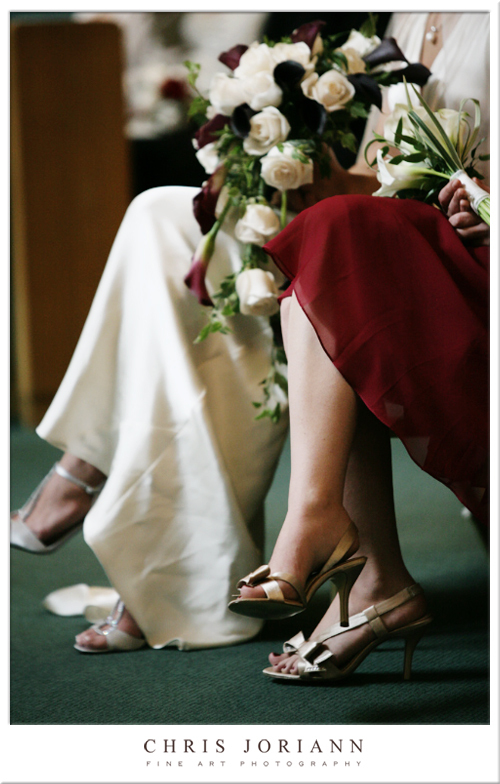 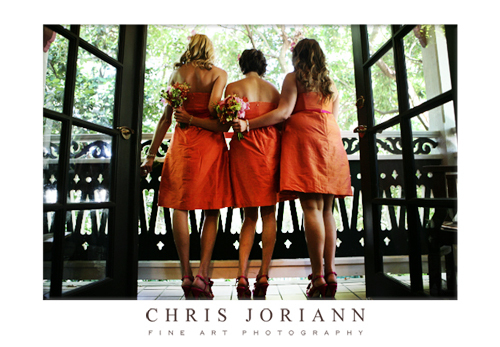 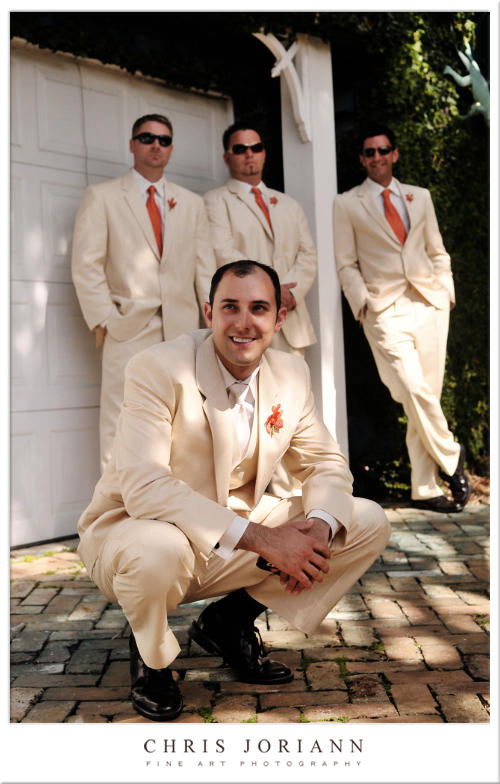 I just loved the short orange bridesmaids’ dresses. 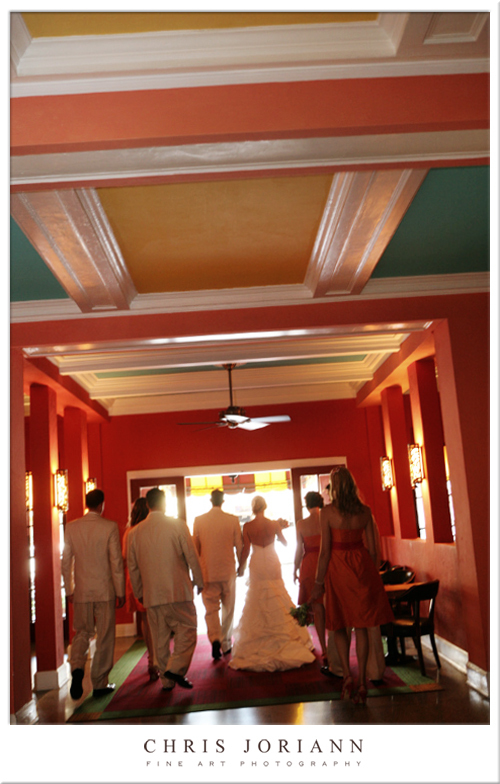 Their matching Hot Pink shoes really popped. 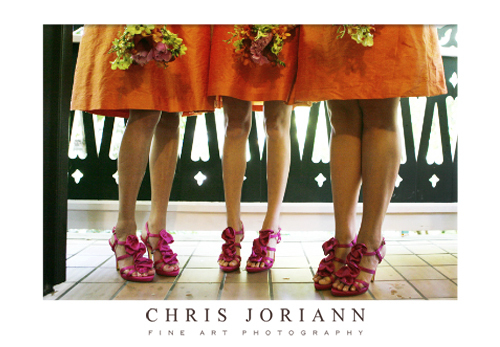 The girl’s even came prepared with matching flip flops for later. 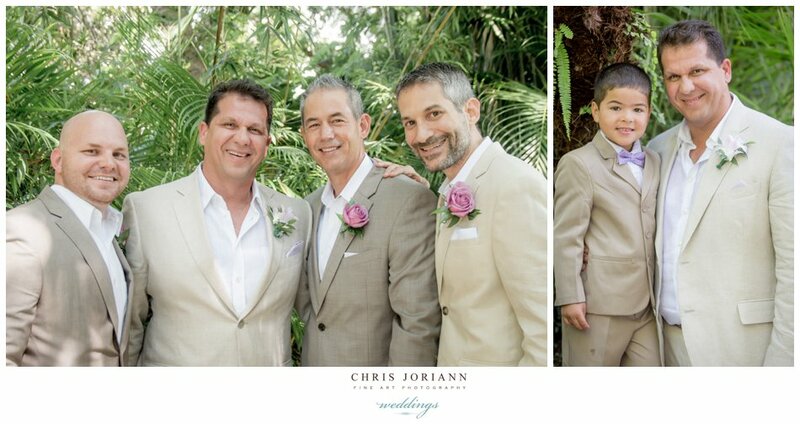 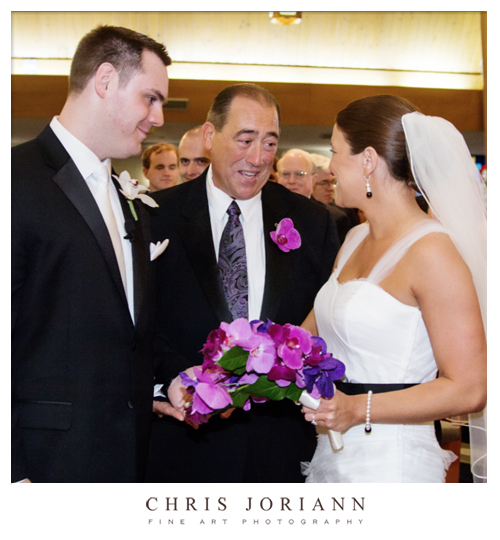 Anthony and the guys also made color work, with burnt orange ties and orchids. 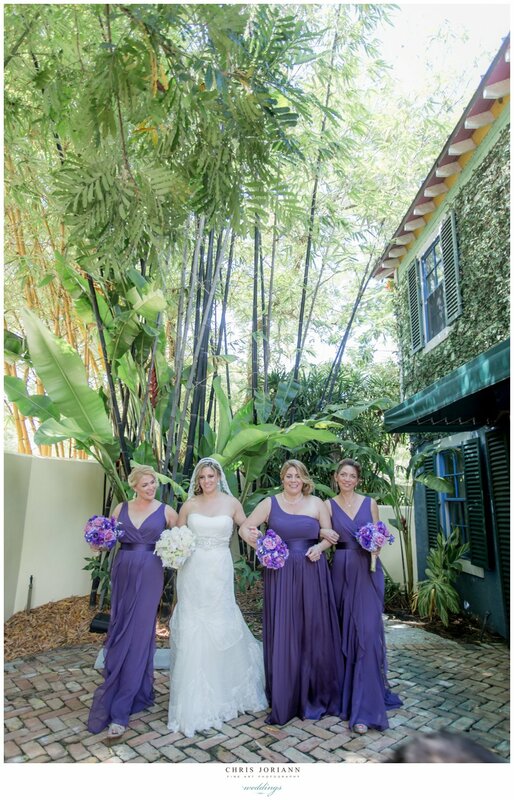 The multicolored parasols, were just the right touch… and helped keep the girls cool in the hot sun as they headed for the ceremony on the great lawn. 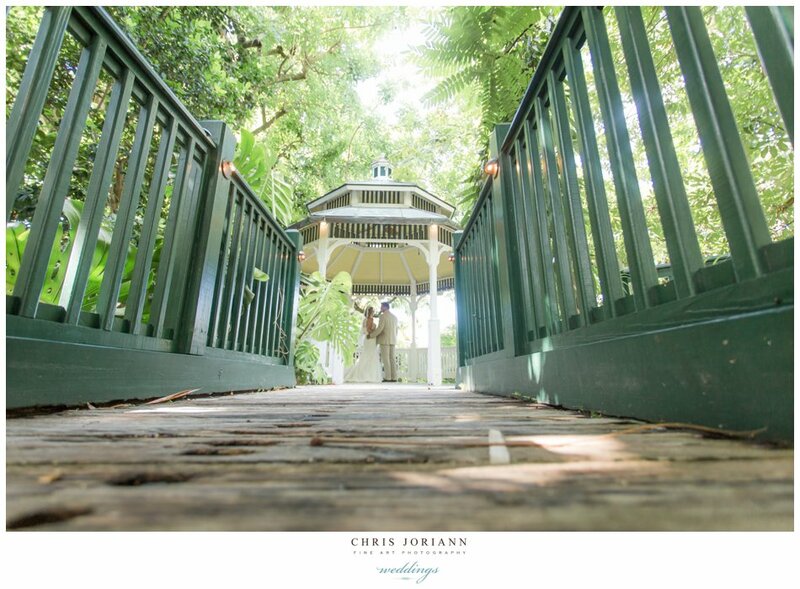 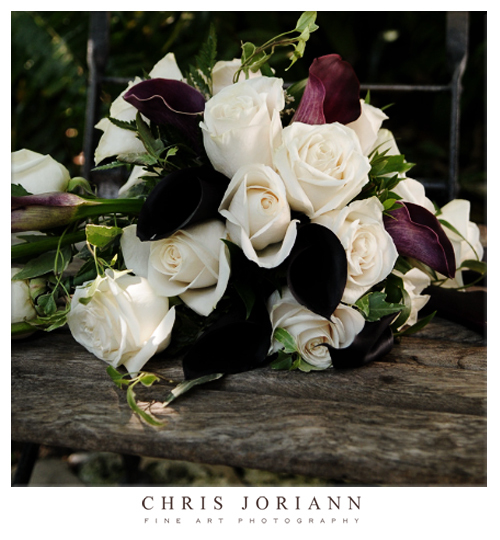 The bride and groom opted to “go green” and saved a tree or two, by sending only save the dates, which we designed for them featuring engagement images, letting guests know an electronic invitation would follow. 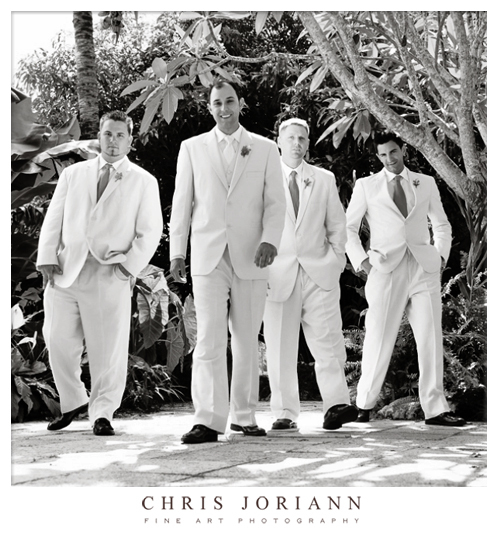 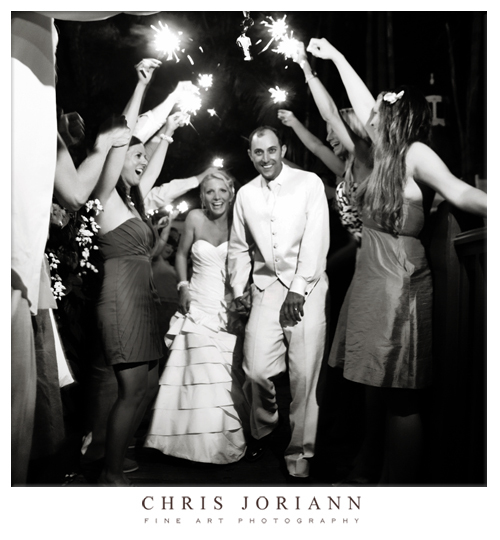 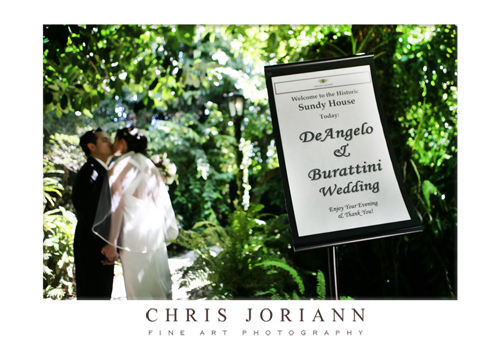 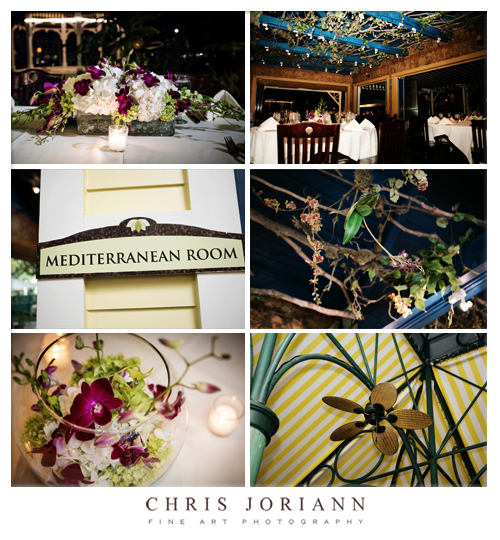 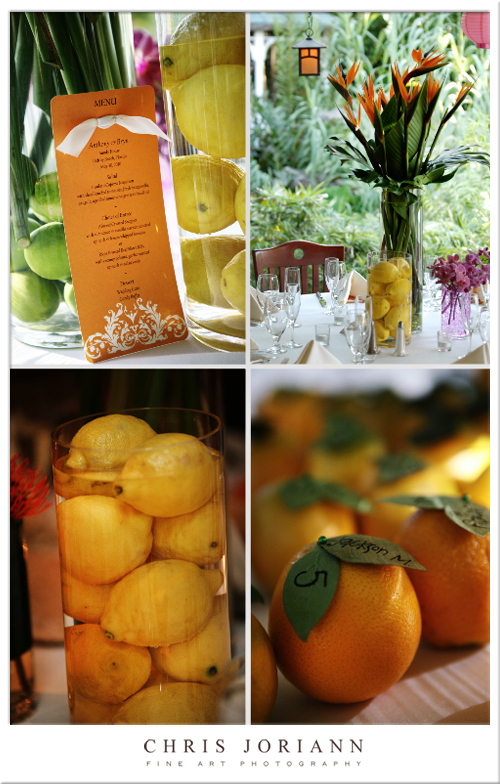 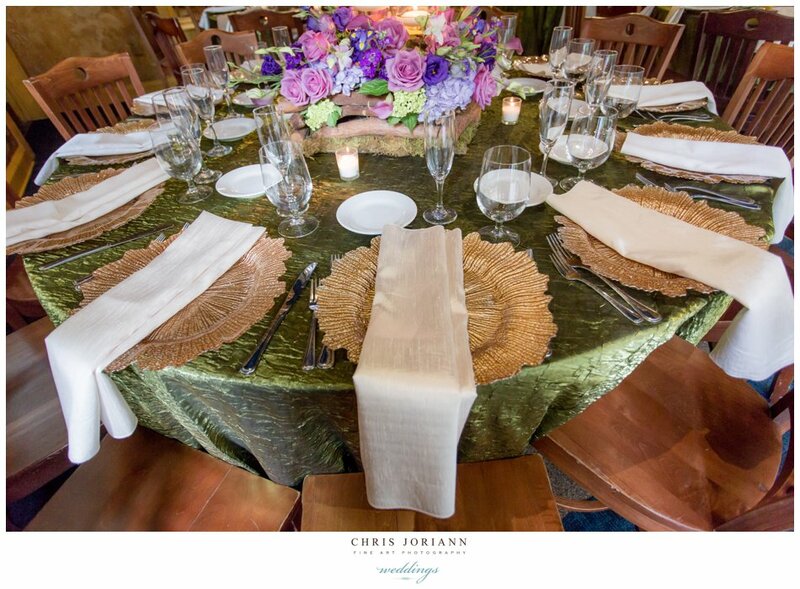 The ceremony and reception incorporated the citrus fruit theme on the programs, which were attached to rattan fans. 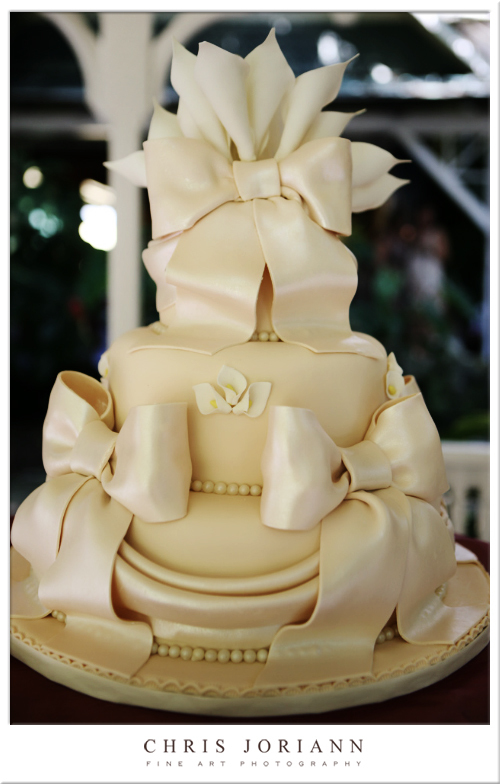 Notice the matching orange ribbon they wrapped around the base. 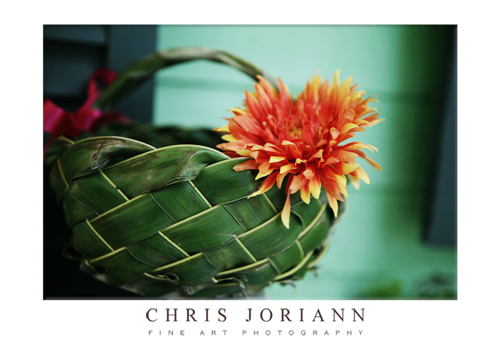 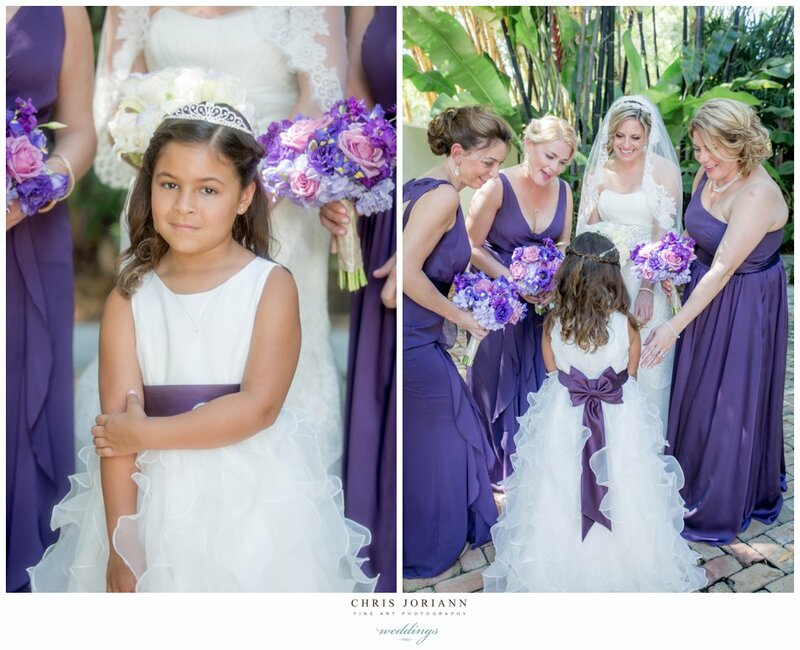 The flower girl’s basket was made of woven palms. 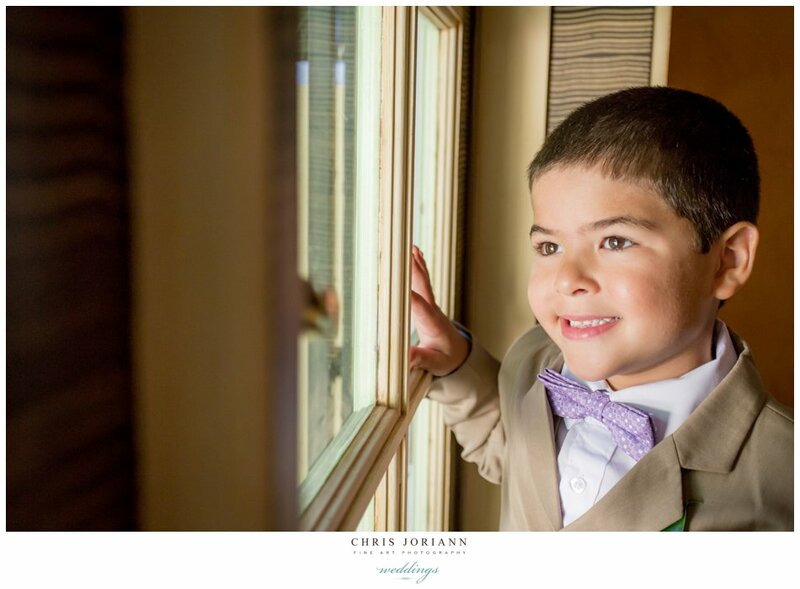 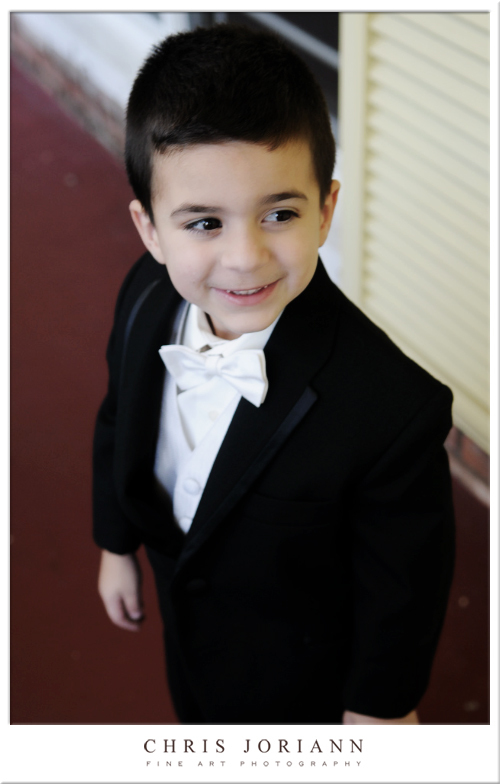 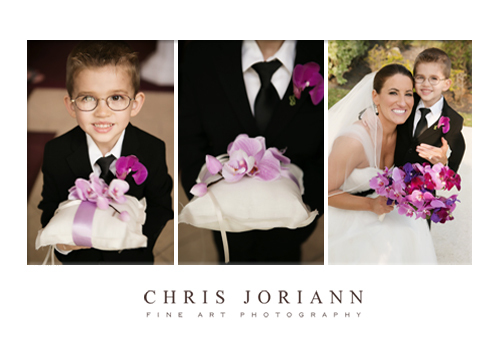 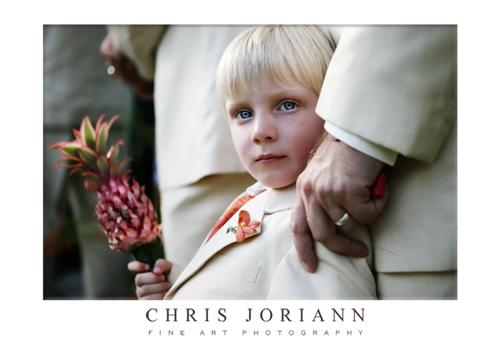 The adorable ring bearer carried the rings down the aisle on ribbons attached to a miniature pineapple on a stick. 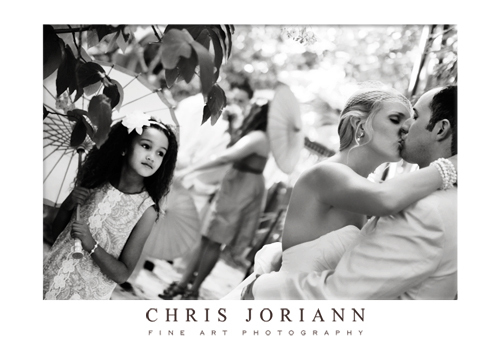 After a beautiful ceremony, serenaded by steel drum, the two stole a kiss, with their flower girl, dressed in Lily Pulitzer kids, looking on. 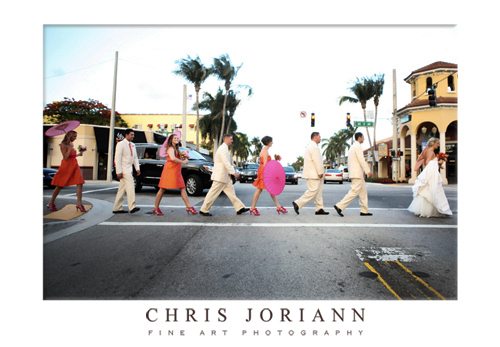 Then the wedding party headed to Downtown Delray, for some photo ops. 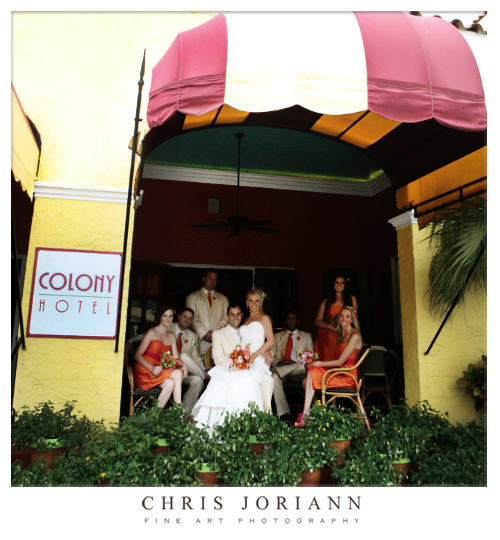 First stop, the historic Colony Hotel & Cabana Club. 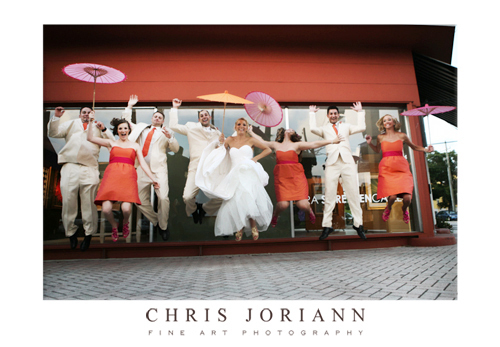 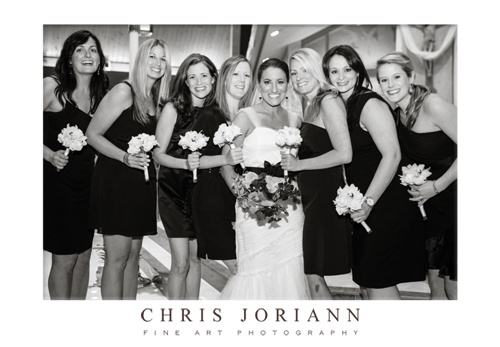 Then the bridal party went walkabout on Atlantic Avenue for some fun. 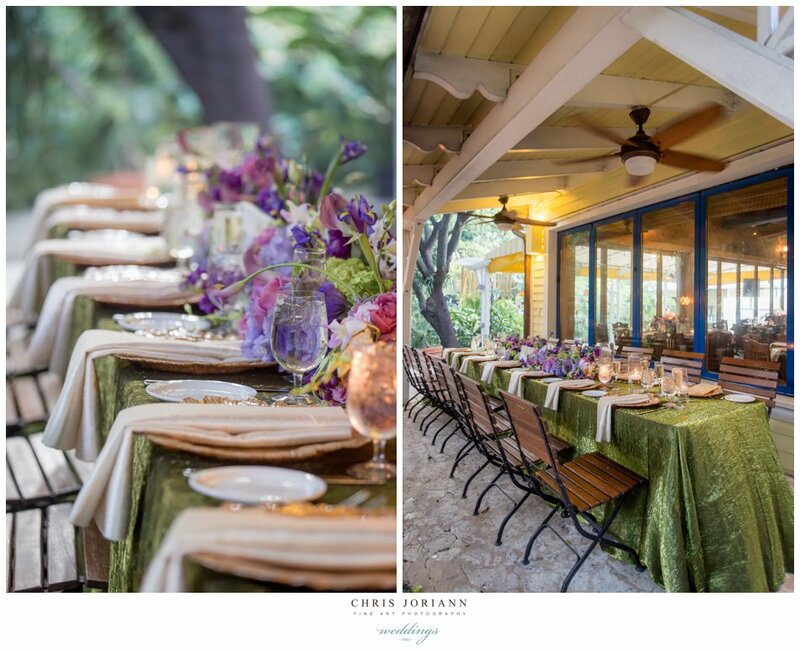 Meanwhile, back at the Sundy House, guests were finishing their cocktails poolside, as the indoor/outdoor reception was being set up. 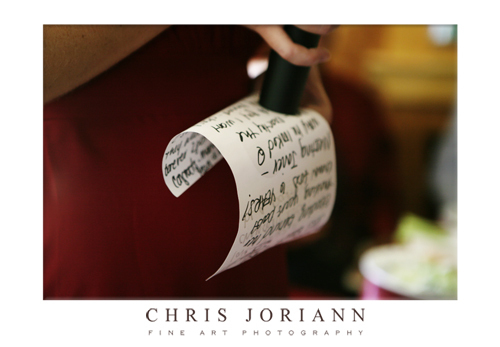 The Fruit theme continued, with a great idea for placecards. 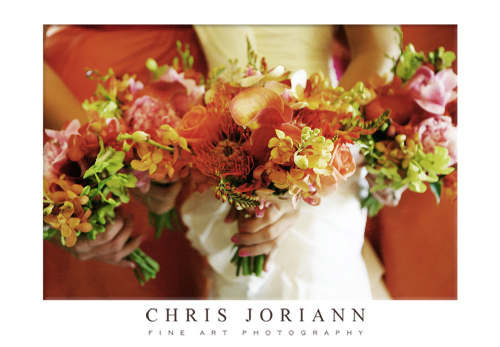 I love how their placecards were shaped like leaves and stuck with a green pin to the top of each orange. 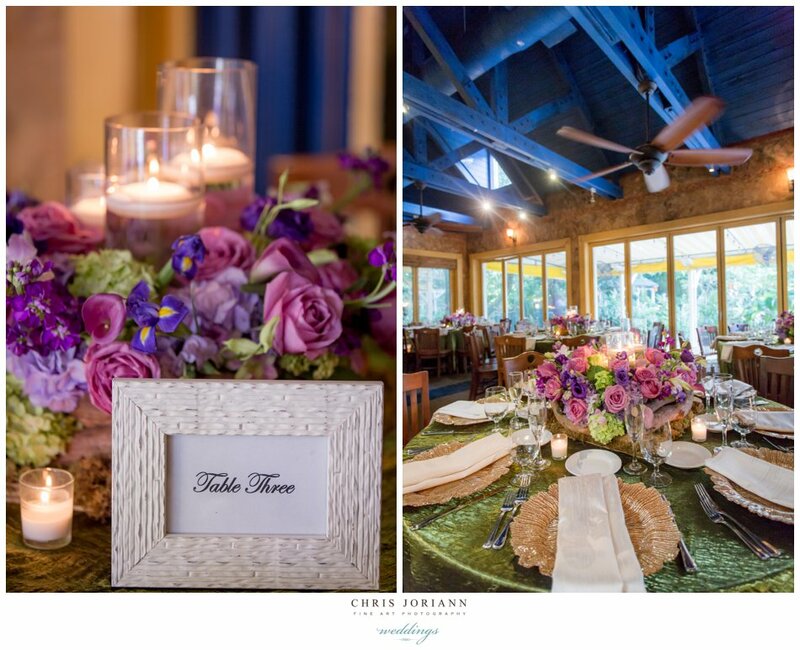 While, lemons, and limes, piled high in different shaped glass containers, and birds of paradise, completed the centerpieces, alongside the custom orange menus. 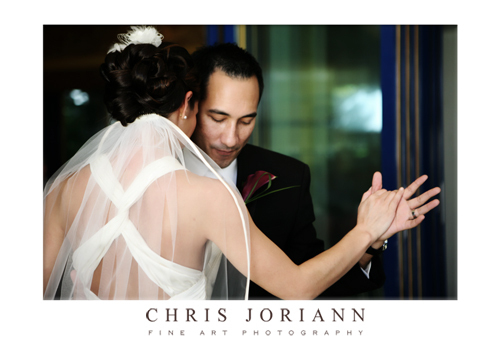 When the bride and groom arrived, they took a moment for a quick rehearsal through their “first dance” steps, before heading into the reception. 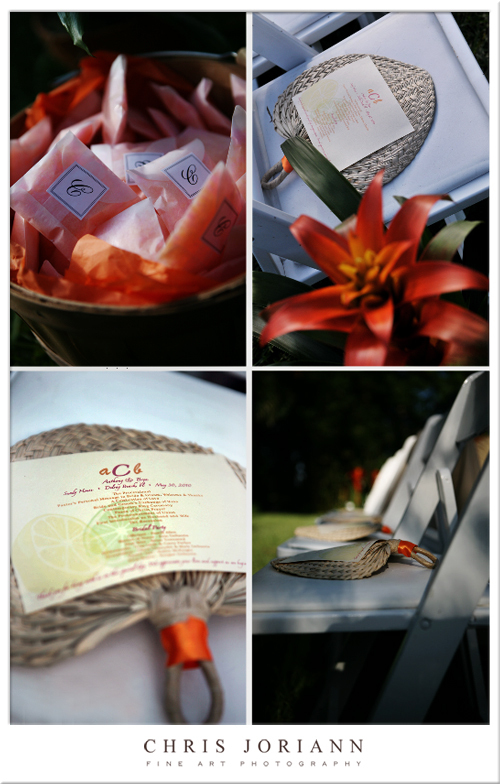 They also had a “Candy Bar,” featuring all things sugary and orange, with little custom favor bags for guest to fill as a take home treat. 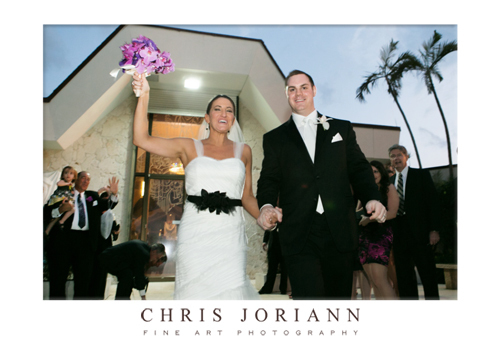 The bride and groom were given “a sparkling” sendoff, as they adjourned to their honeymoon bungalow.